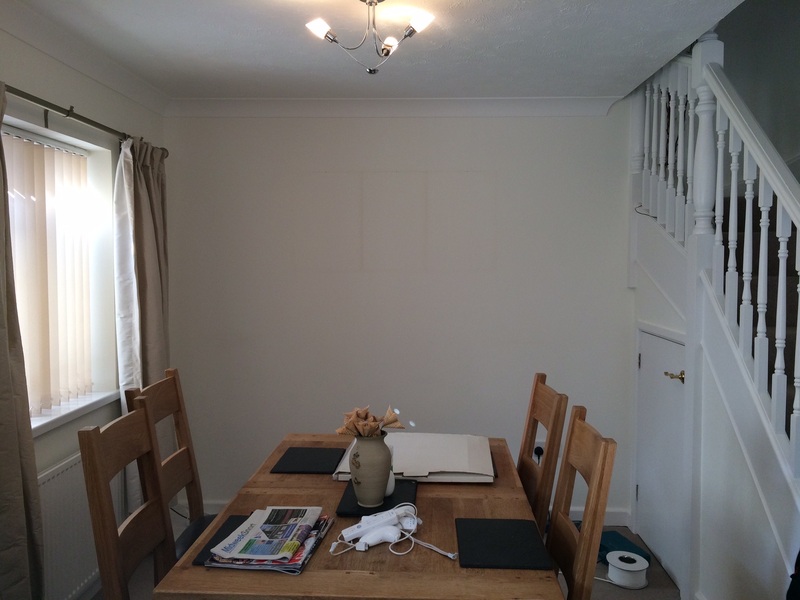 Preparation to transform this wall in the back room. 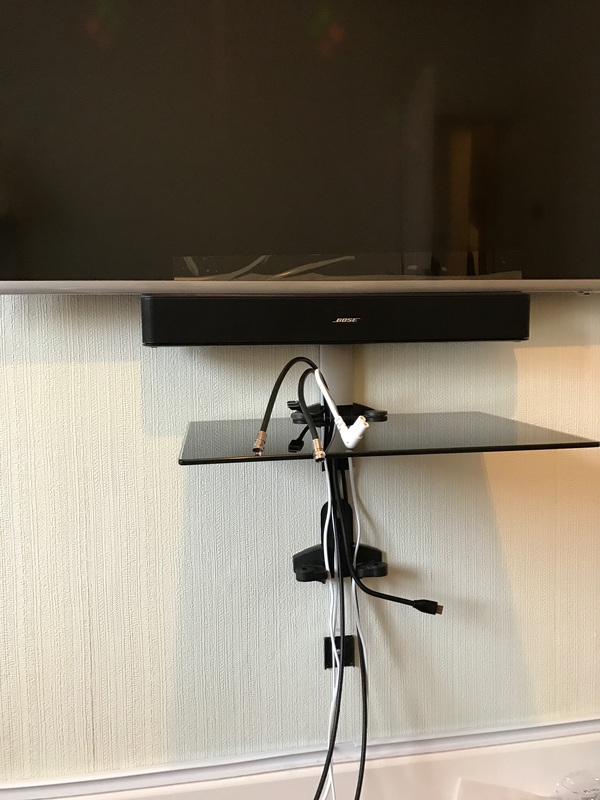 Introducing the cabling and Bose Solo 5 speaker into the set up. 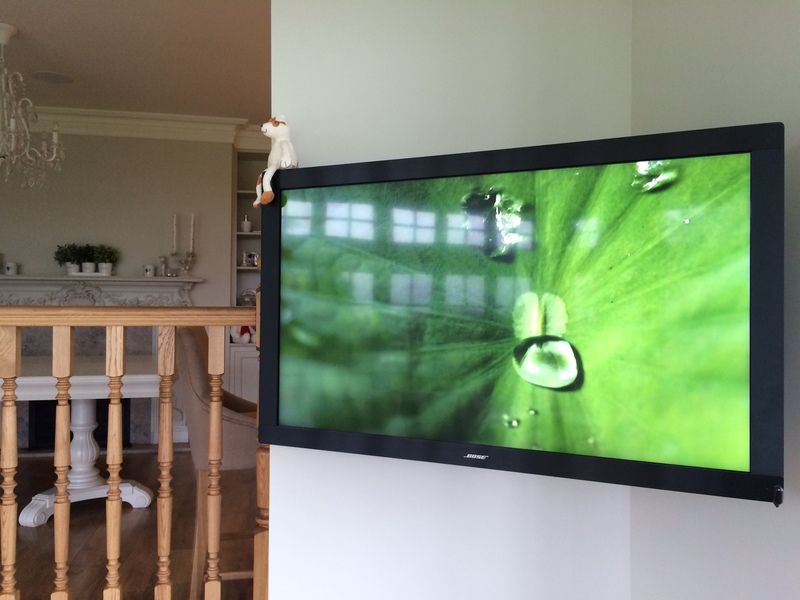 49″ Samsung screen complimented with Bose sound quality. 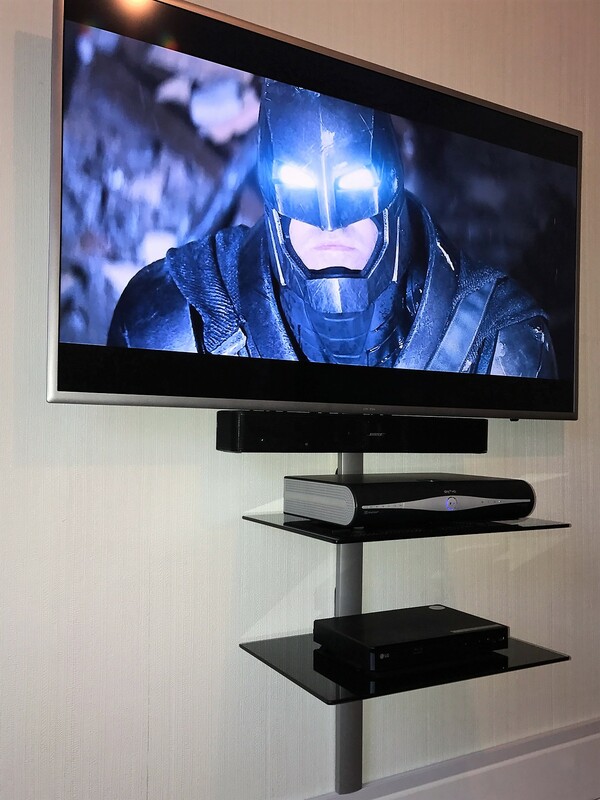 Sky HD and Blu ray all wired and working well. 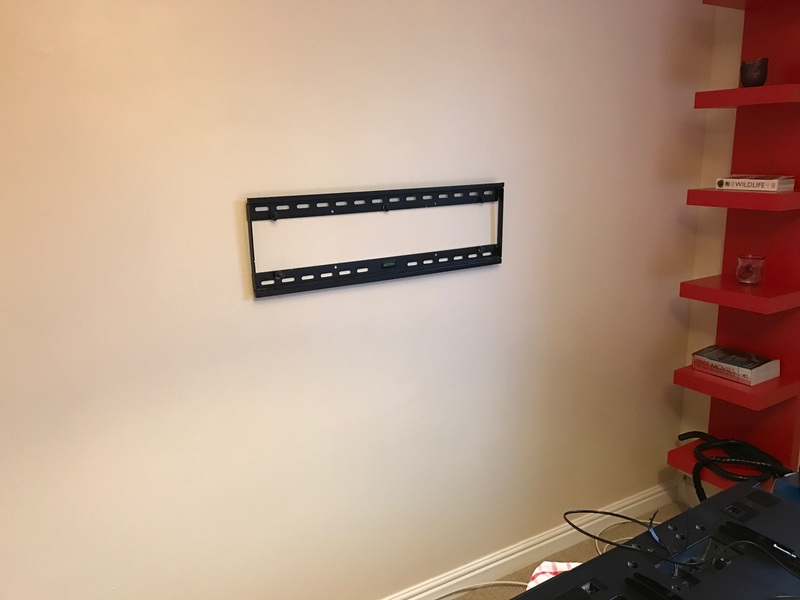 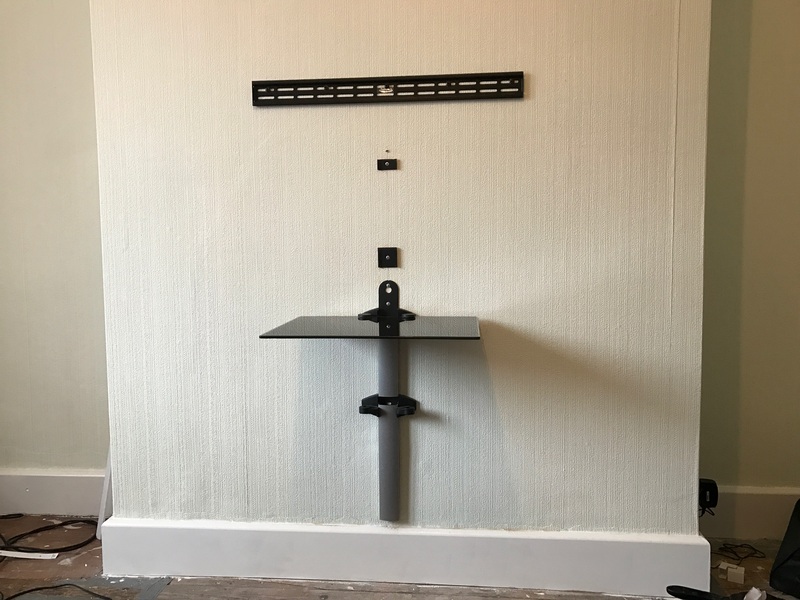 Bracket mounted and ready to hide 4x HDMI cables, mains and ethernet cables. 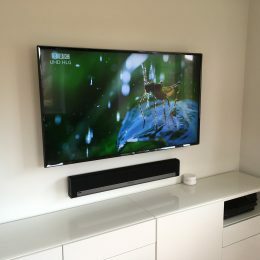 Completed.. Tv mounted along with matching soundbar, all cabled and ready to go. 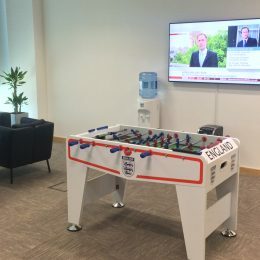 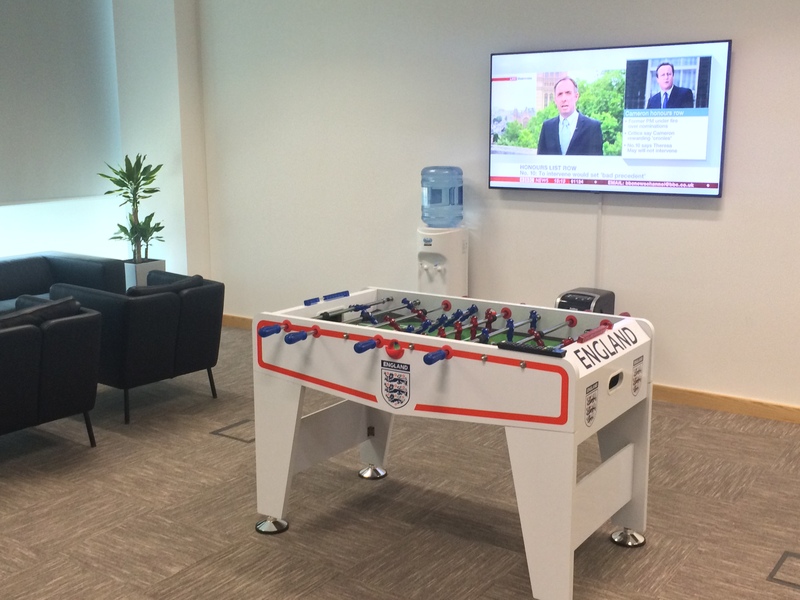 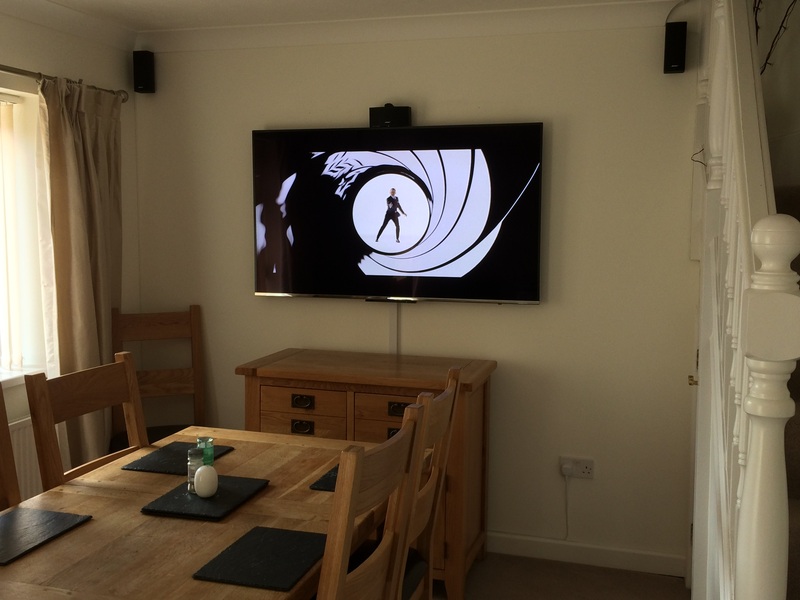 Our client decided to upgrade, Bigger and better…. 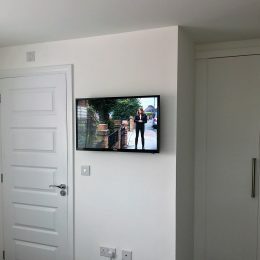 and wall mounted! 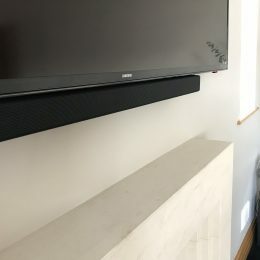 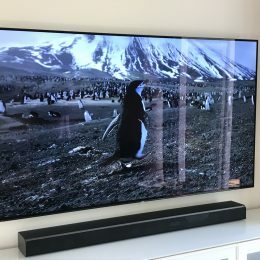 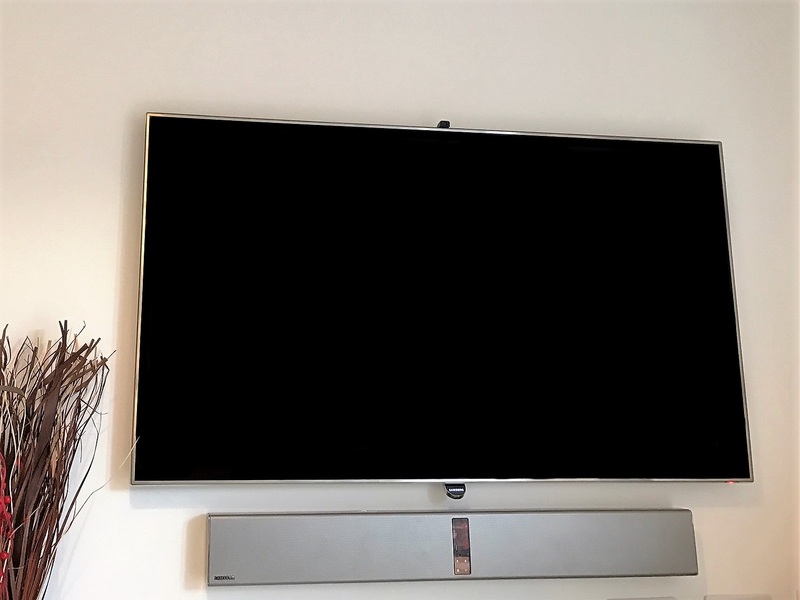 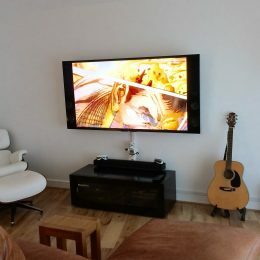 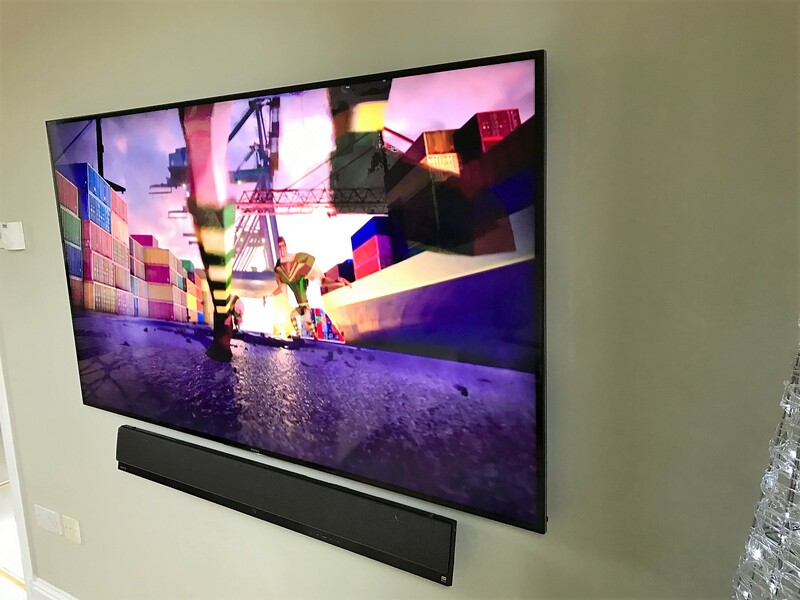 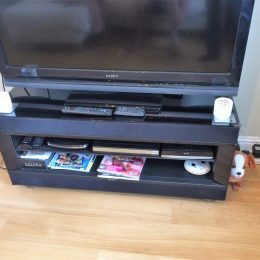 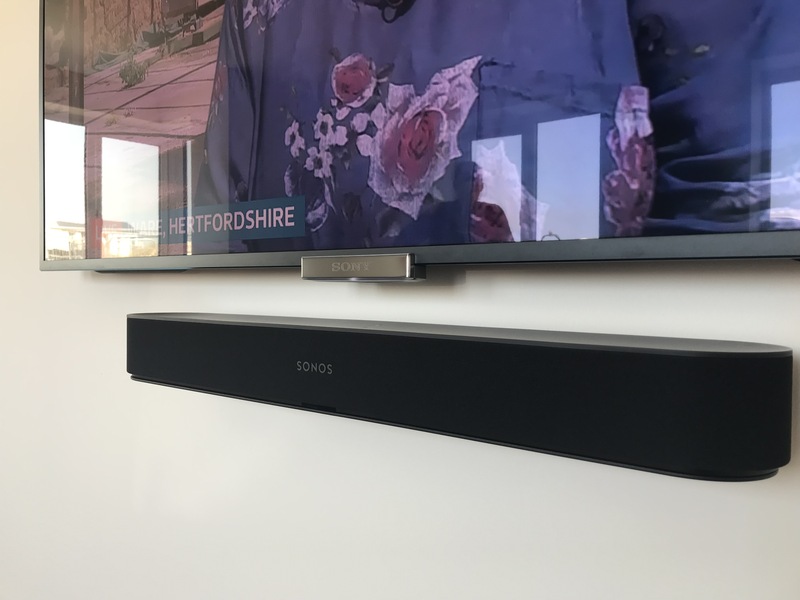 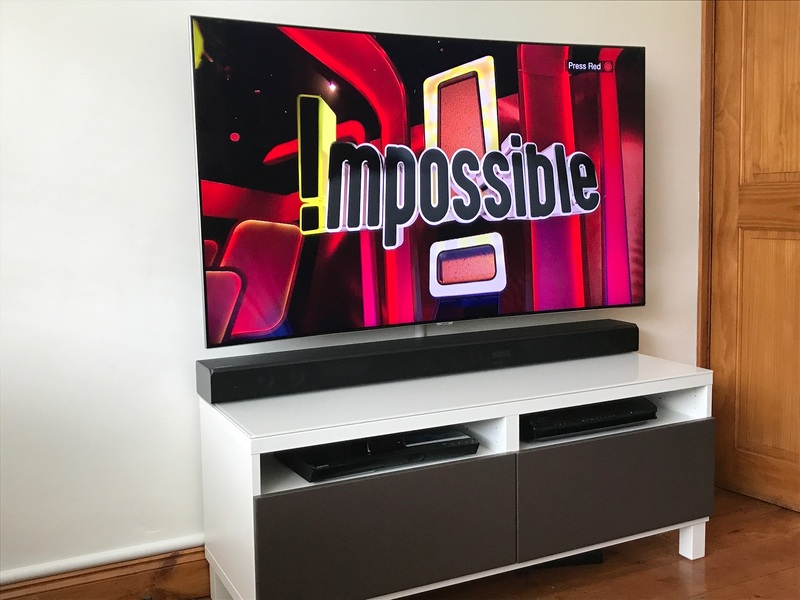 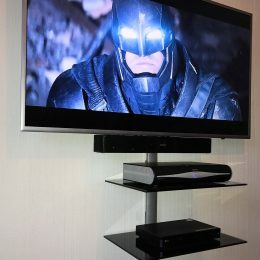 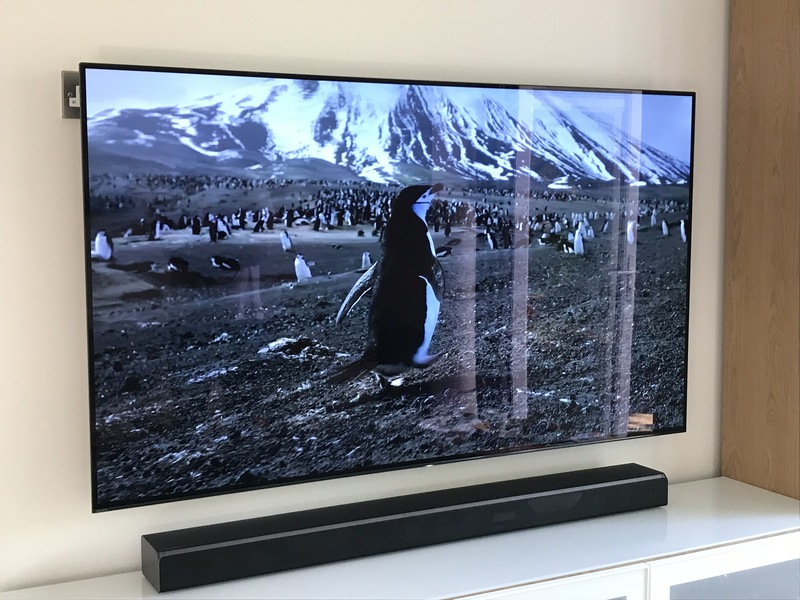 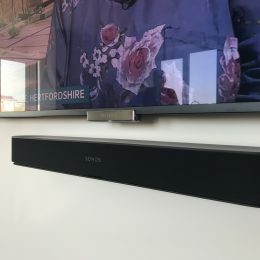 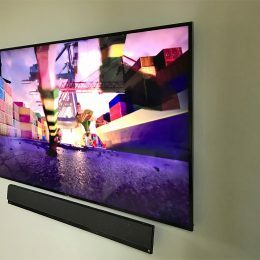 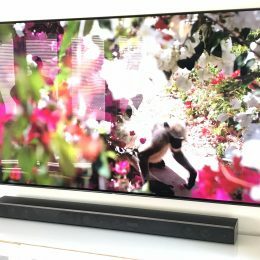 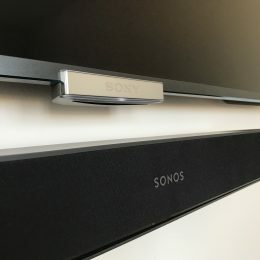 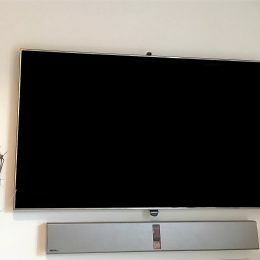 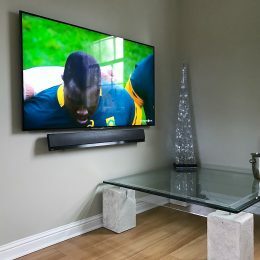 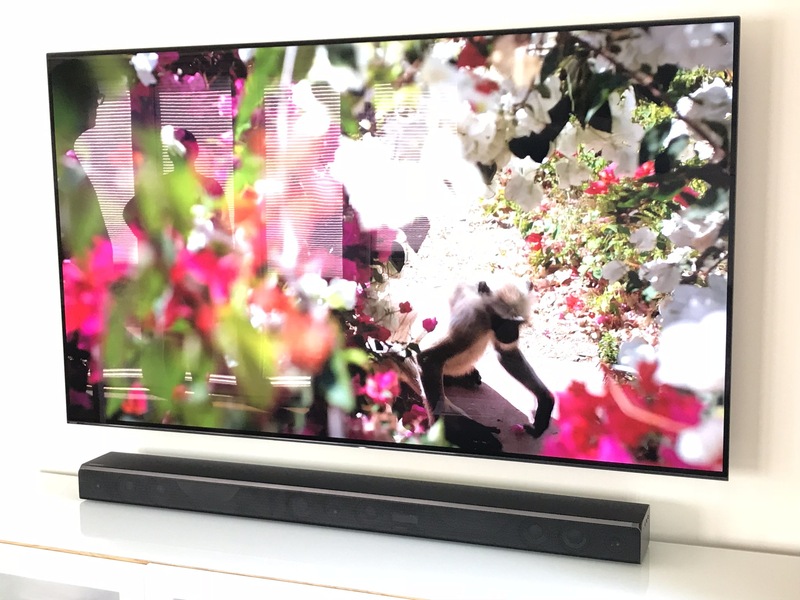 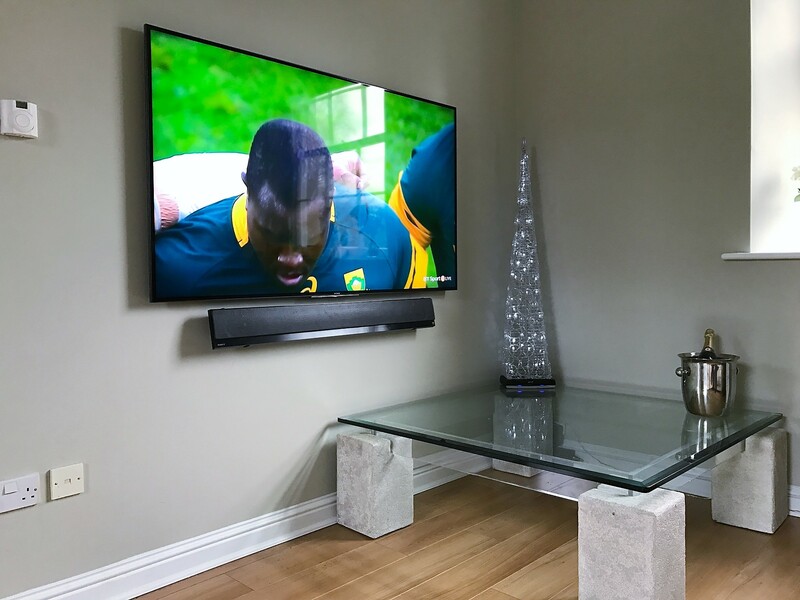 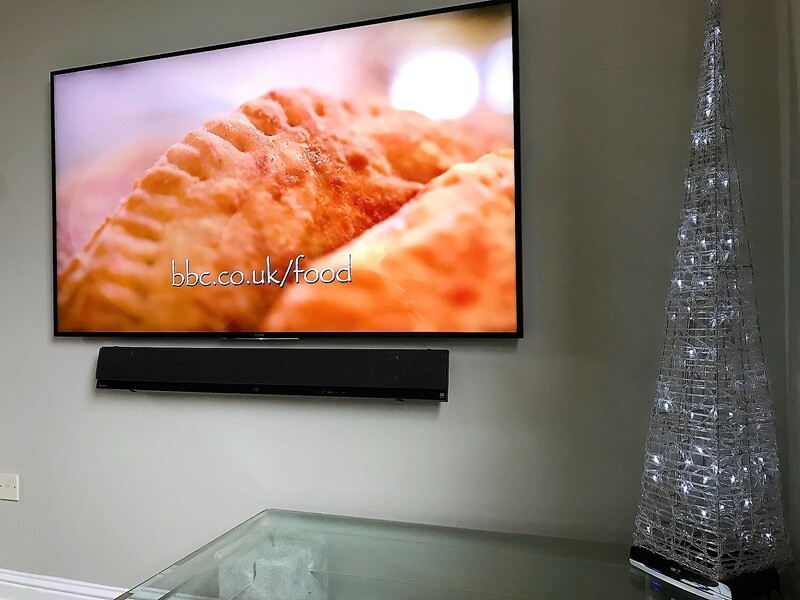 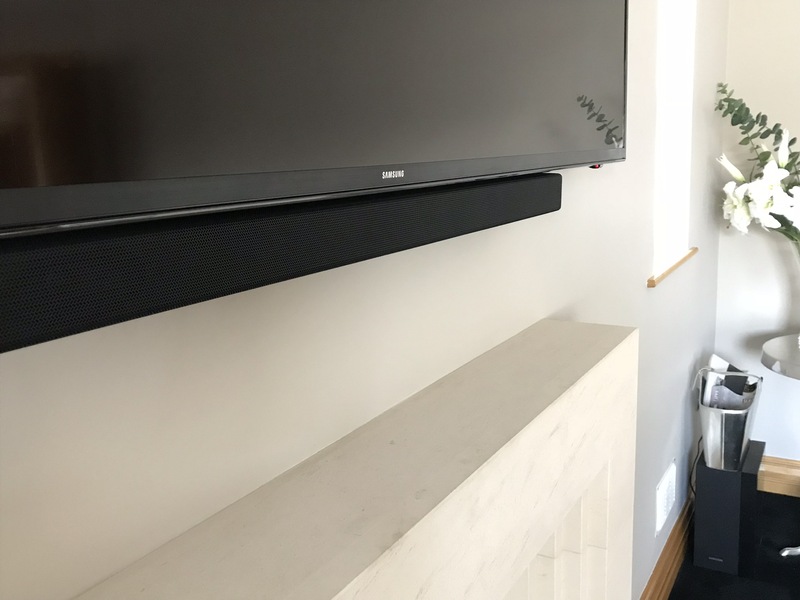 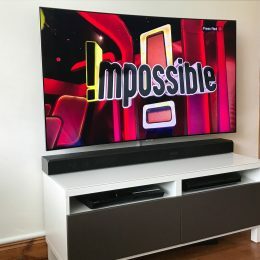 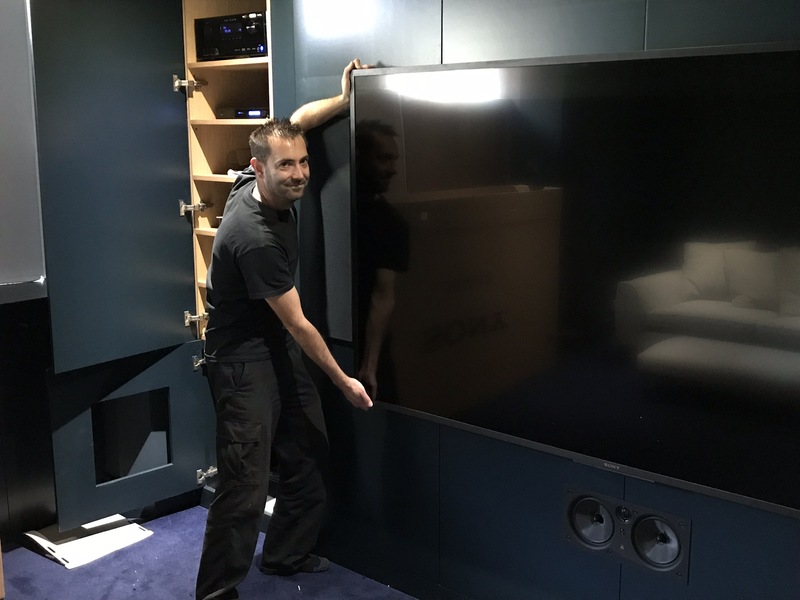 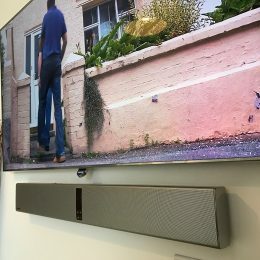 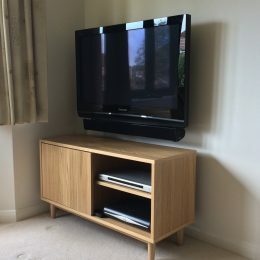 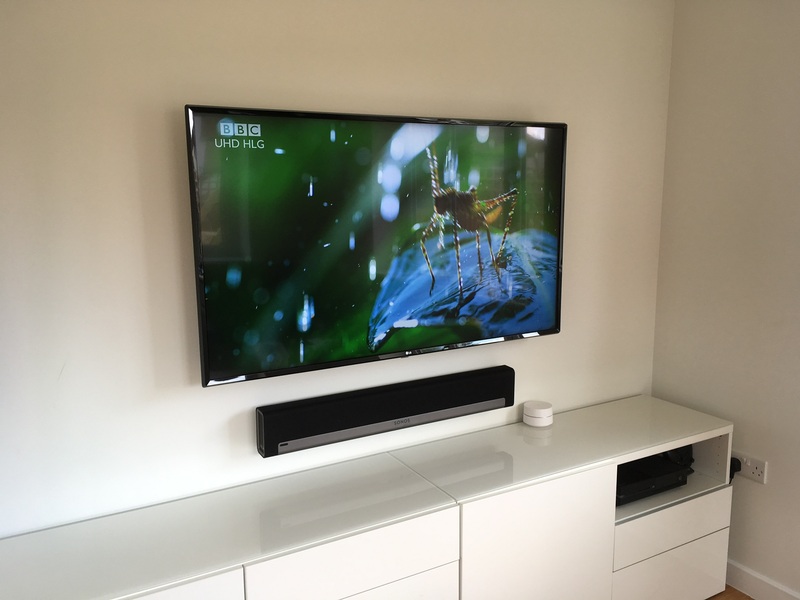 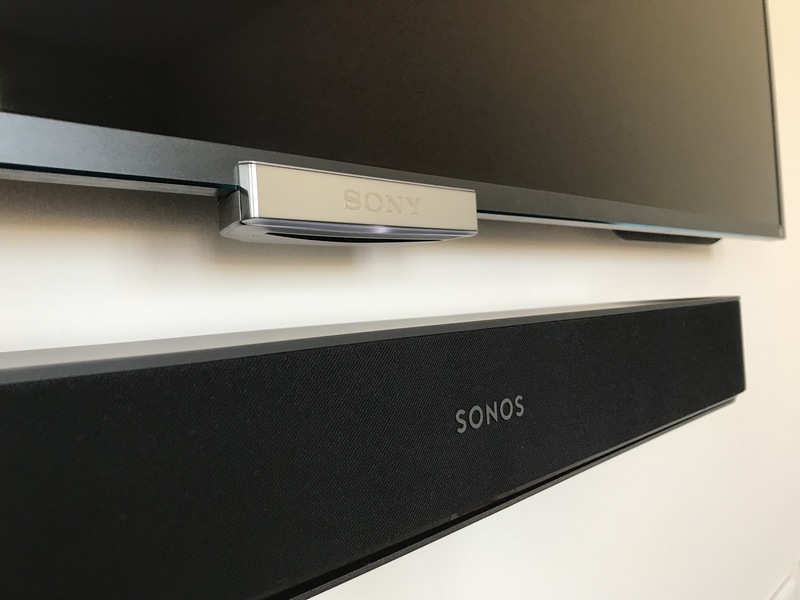 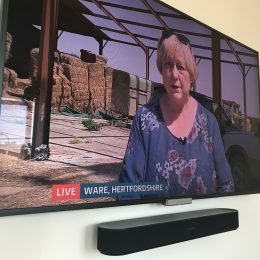 Beautiful 65″ Sony with matching soundbar. 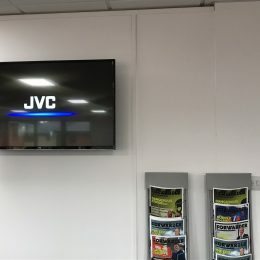 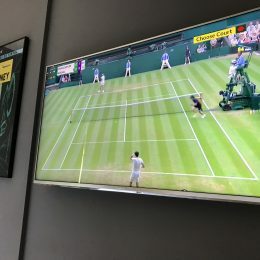 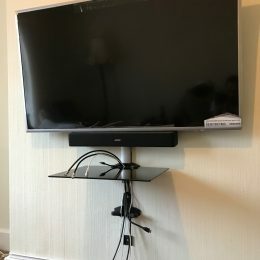 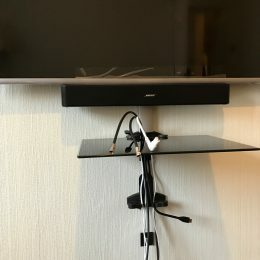 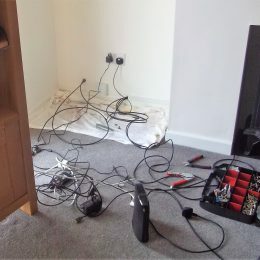 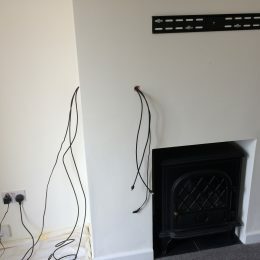 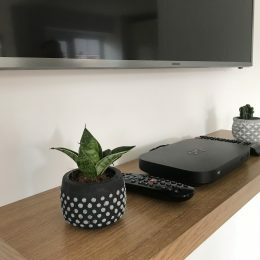 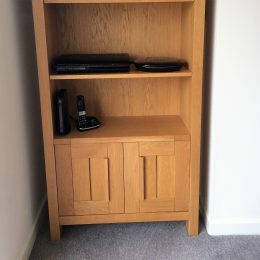 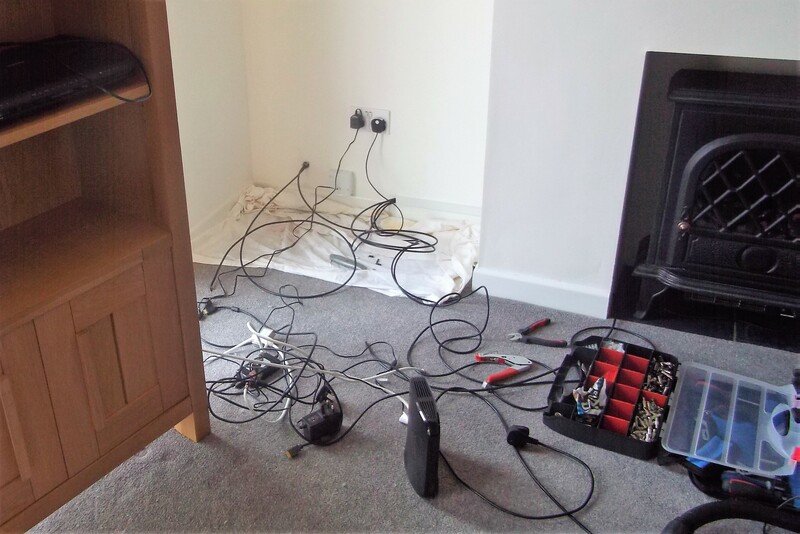 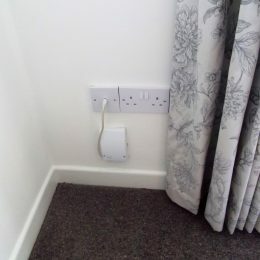 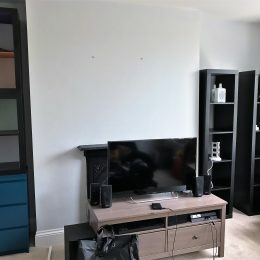 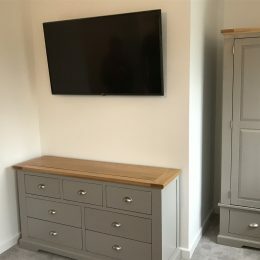 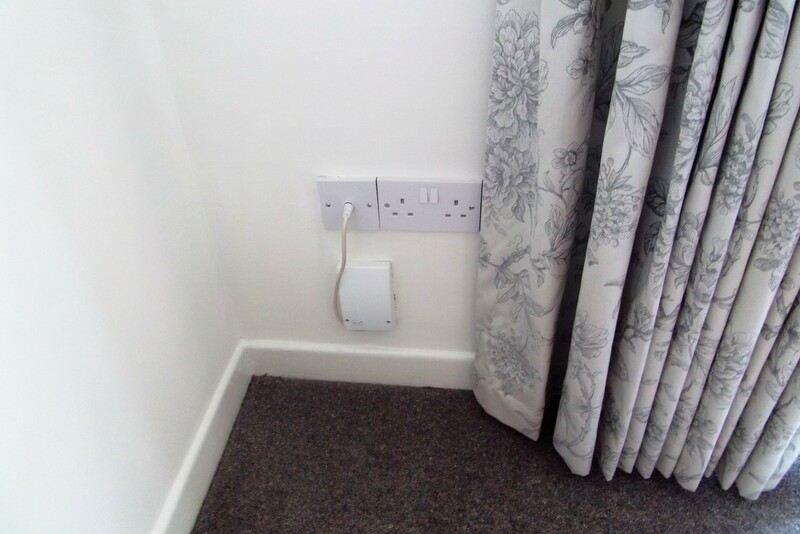 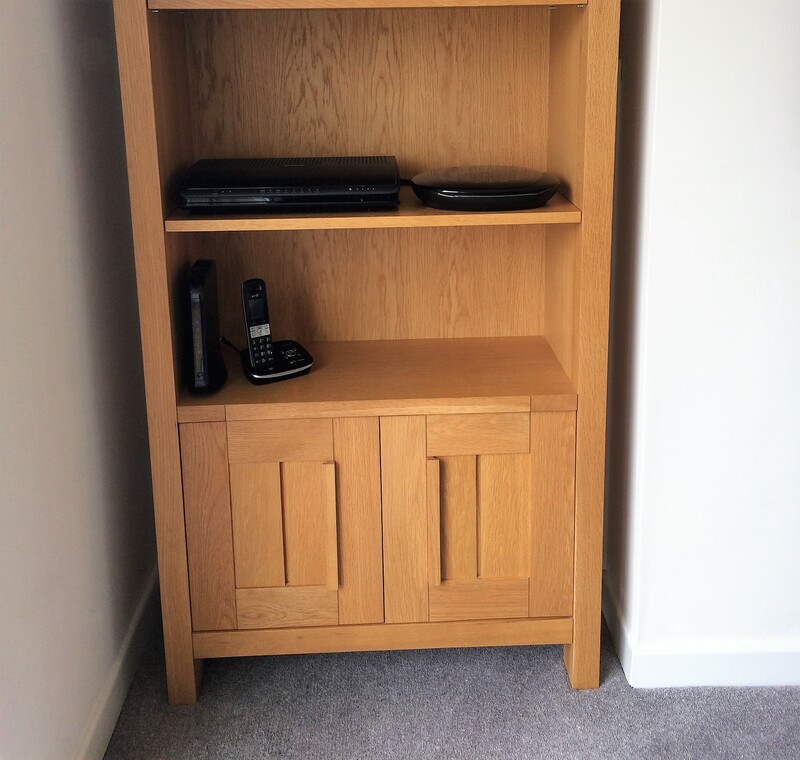 HDMI and audio cables hidden and connected up to BT Vision. 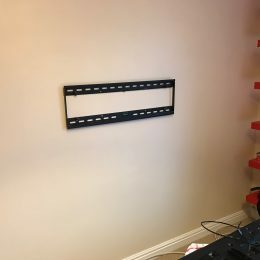 Time to mount this 40″ Sony screen. 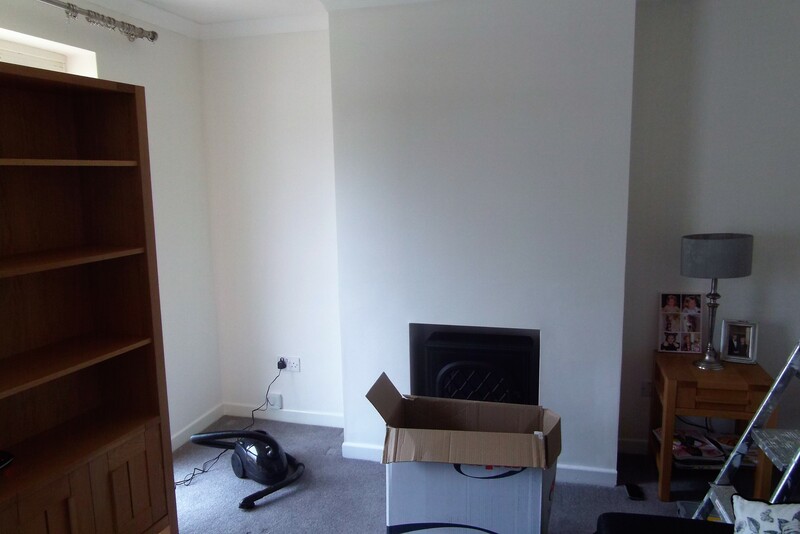 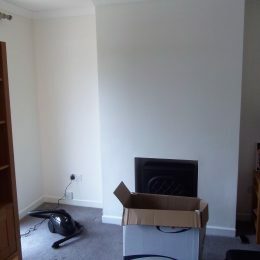 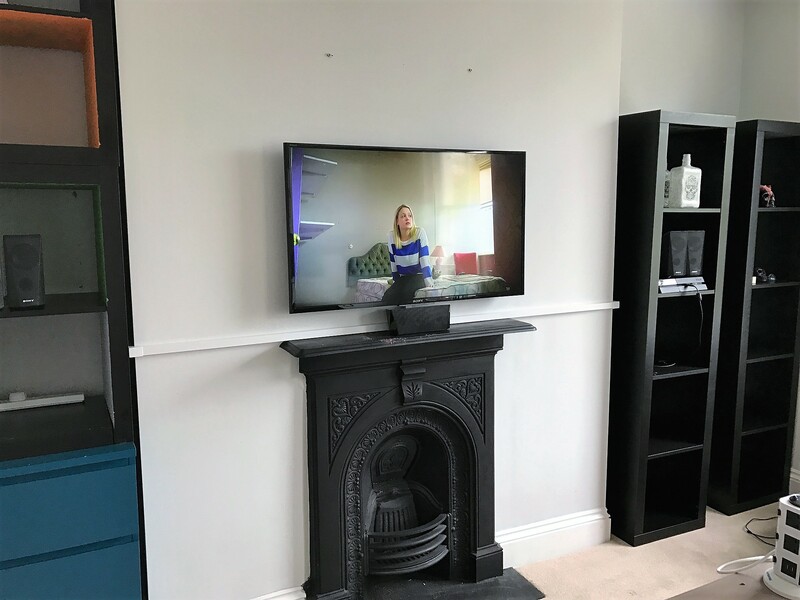 Freeing up valuable space and now able to show off her feature fireplace. 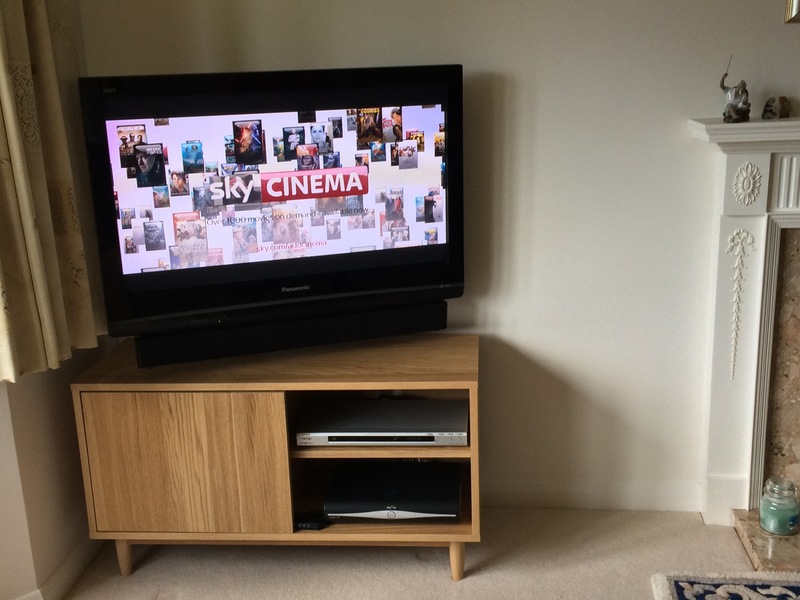 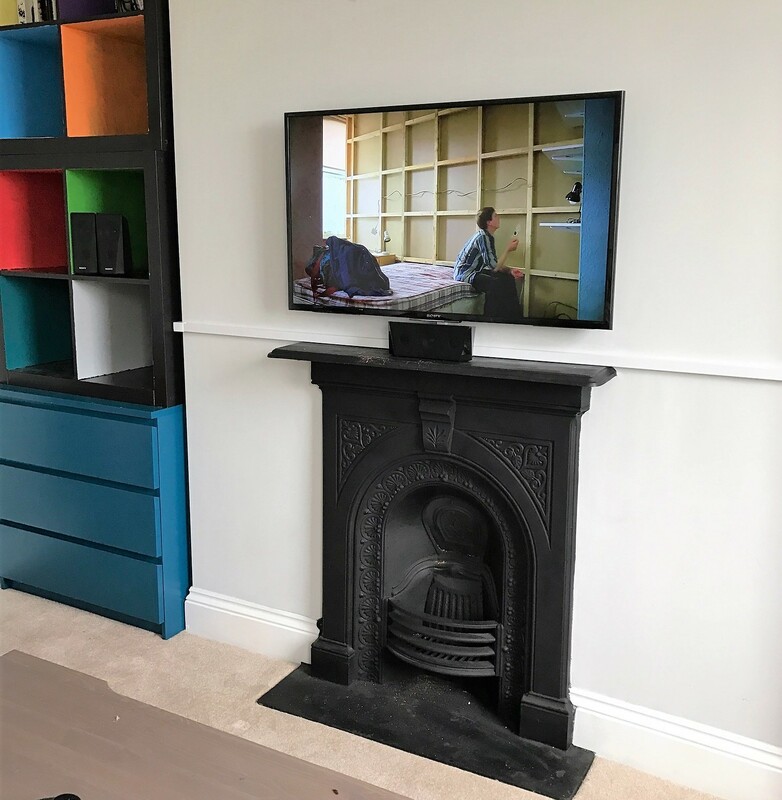 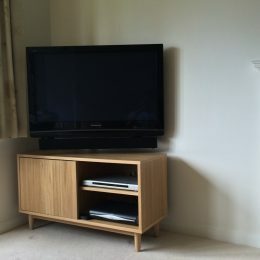 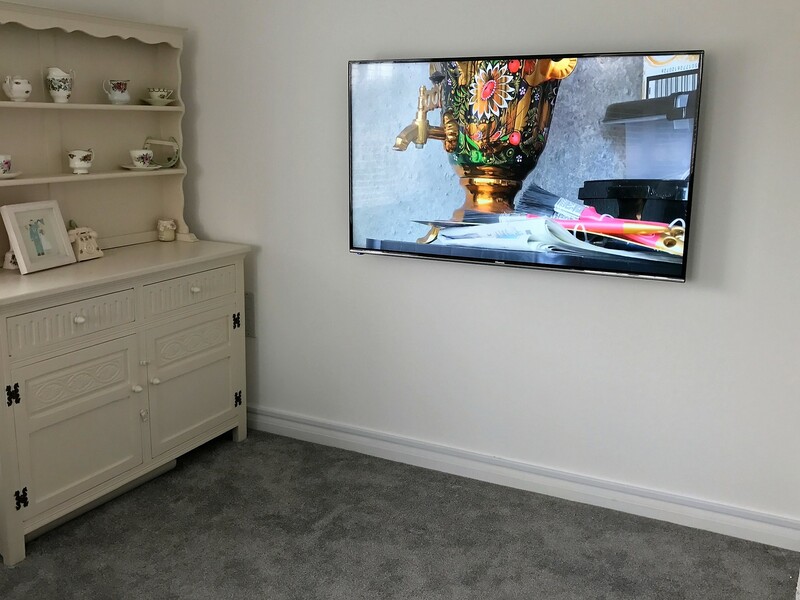 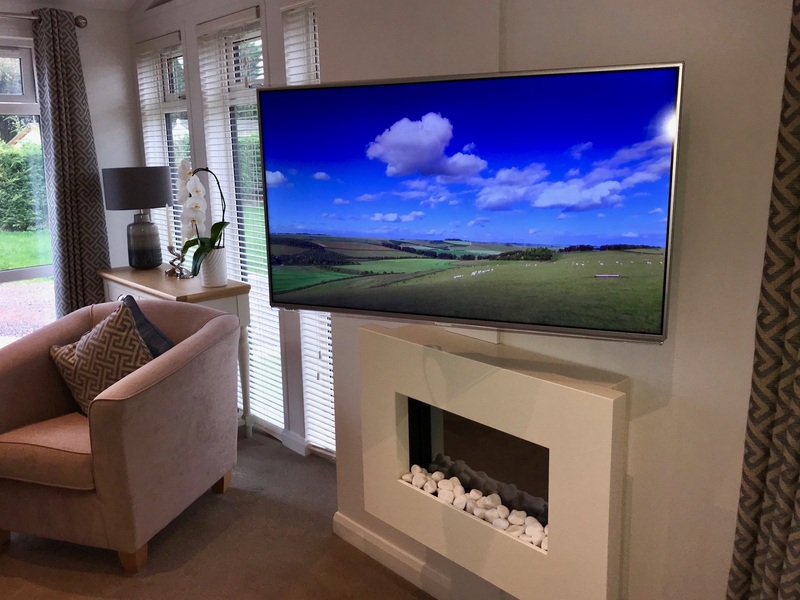 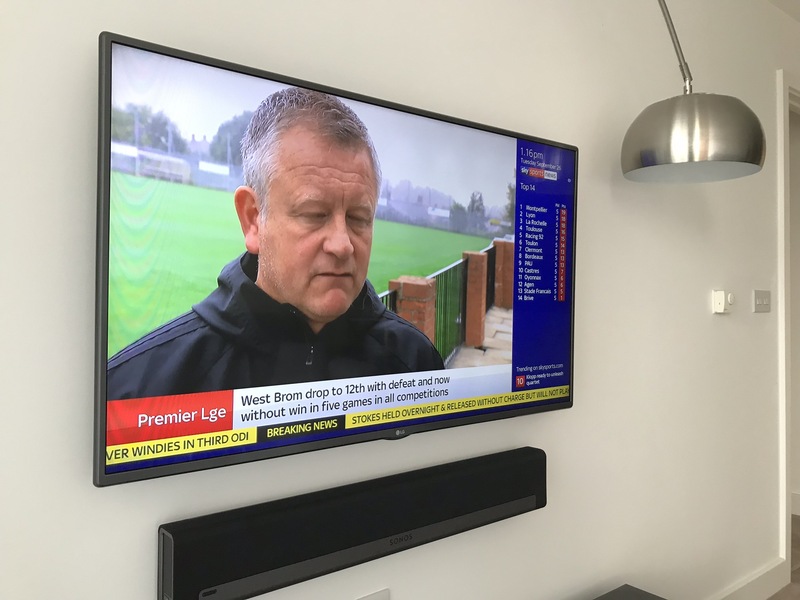 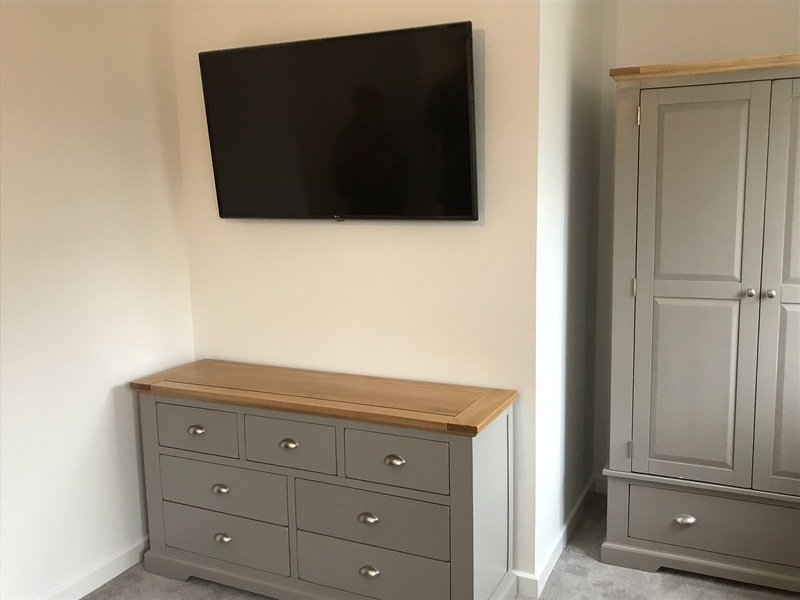 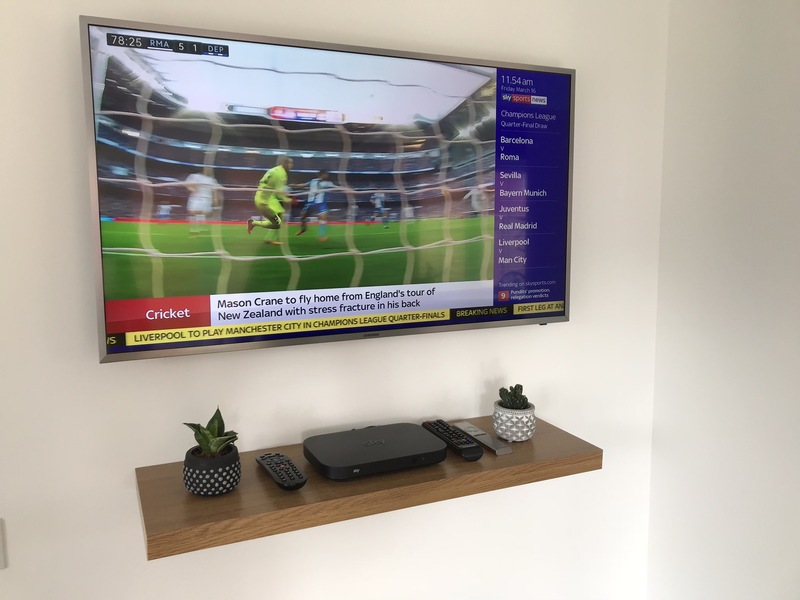 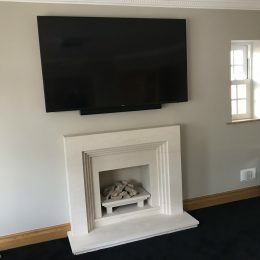 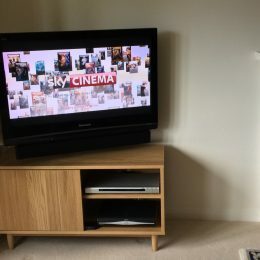 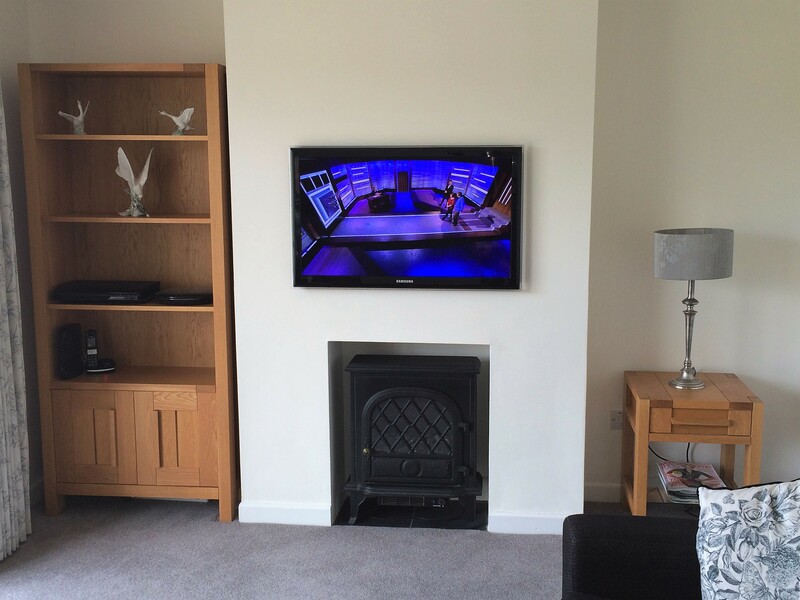 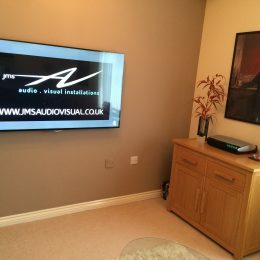 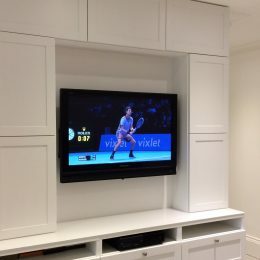 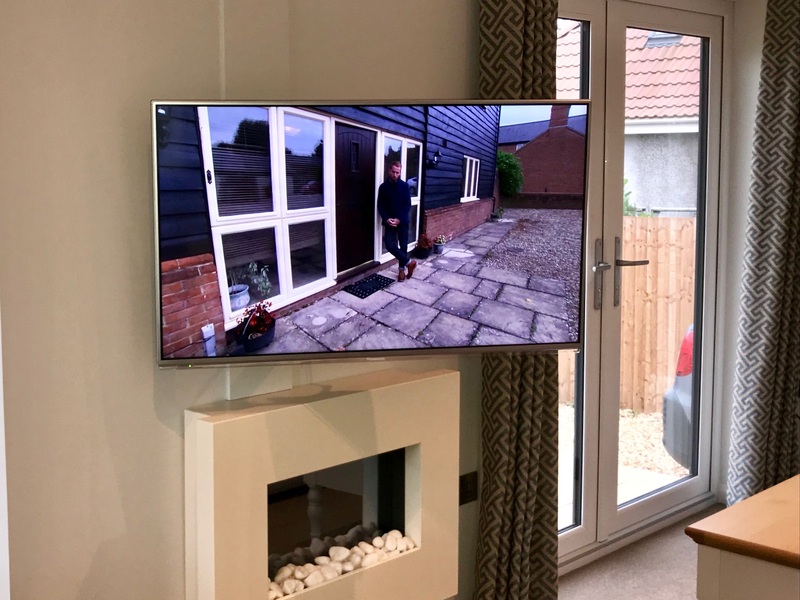 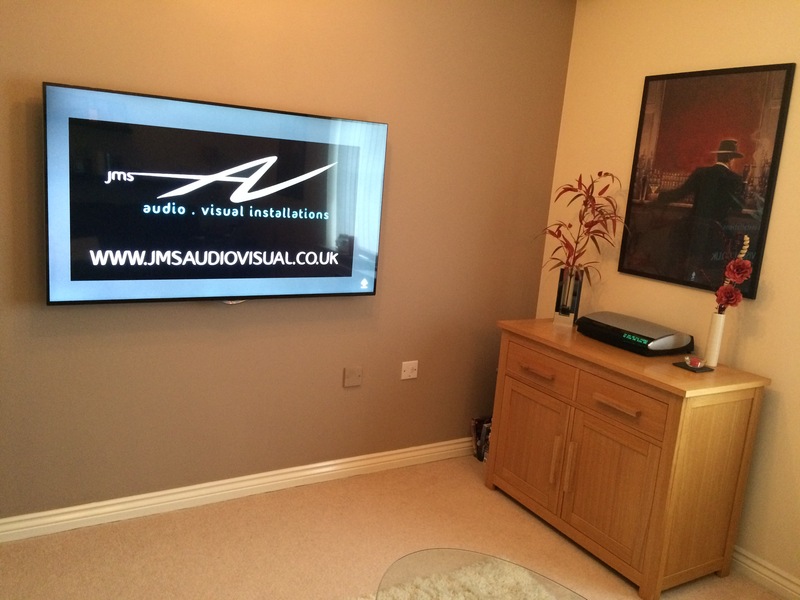 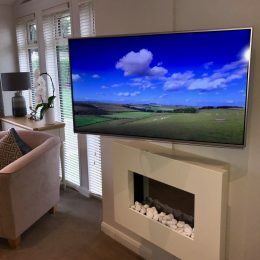 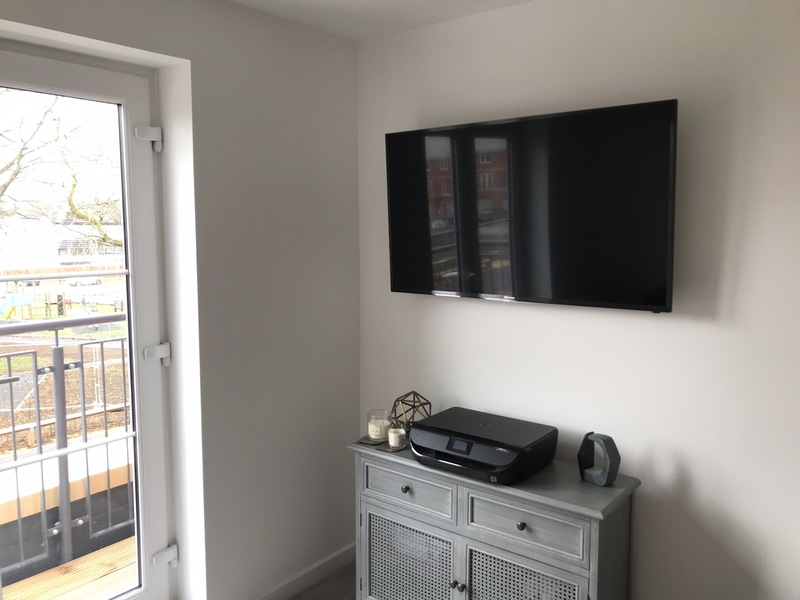 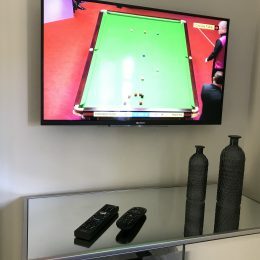 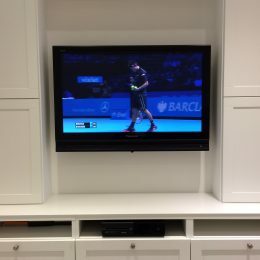 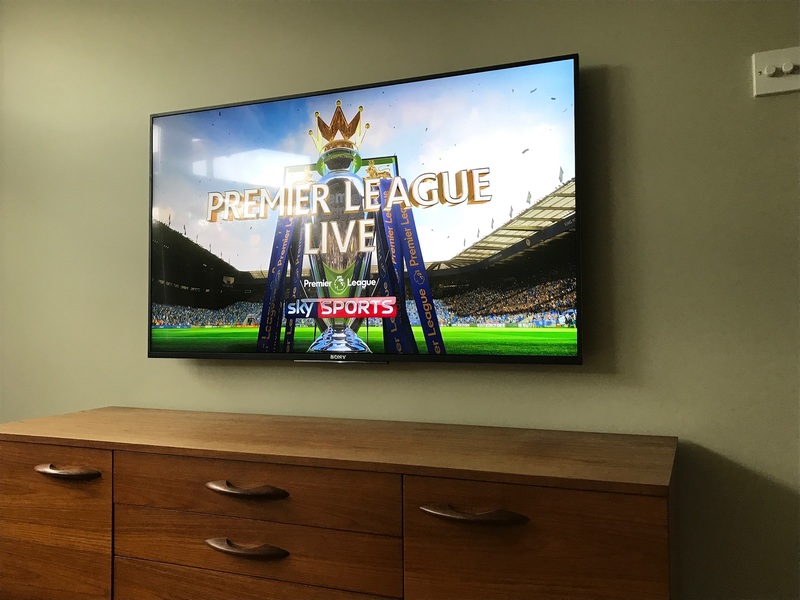 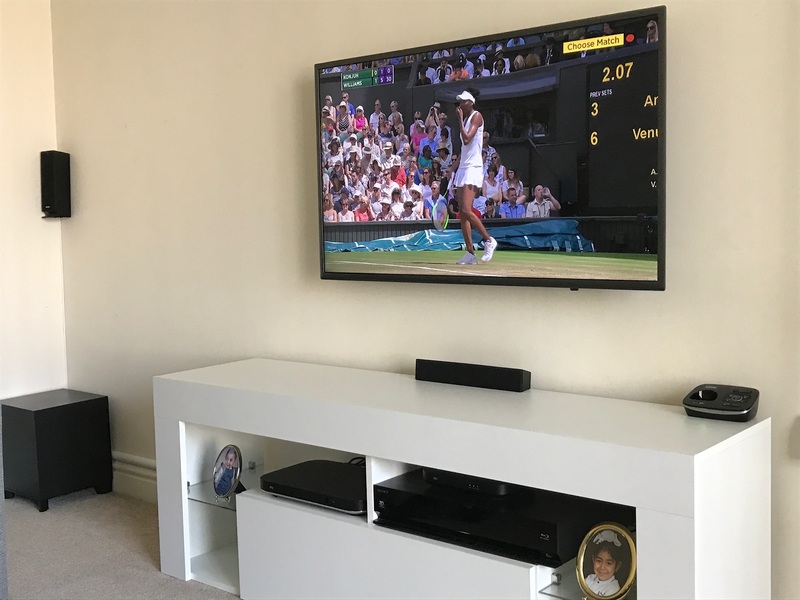 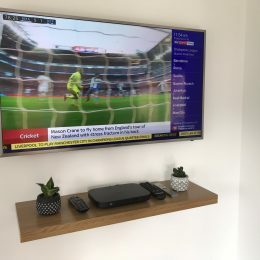 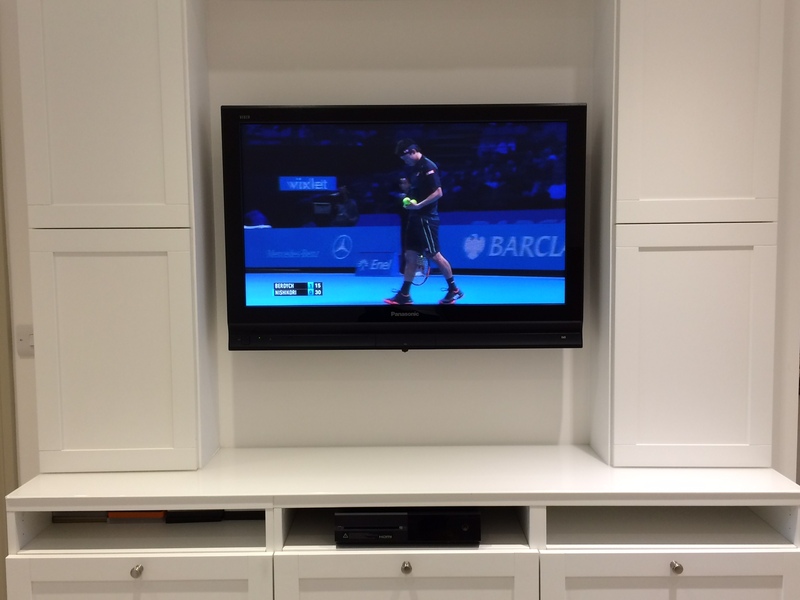 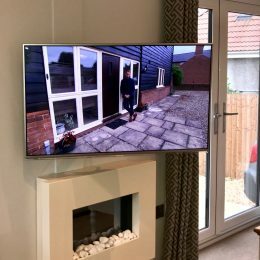 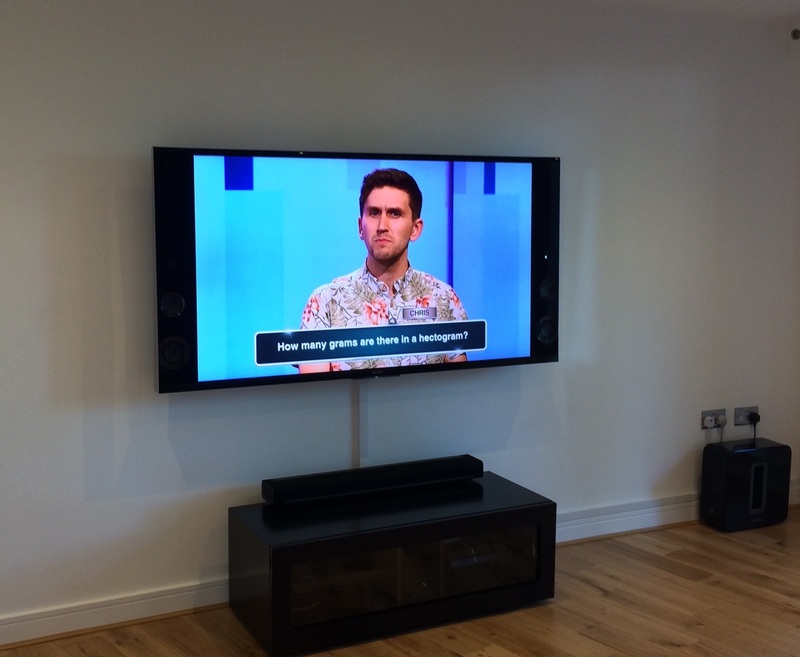 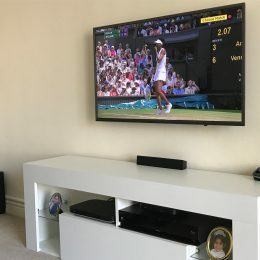 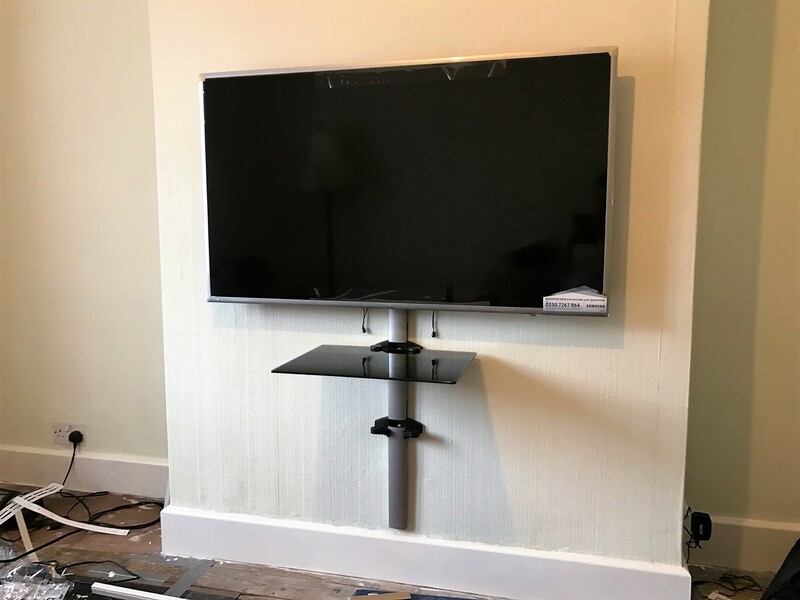 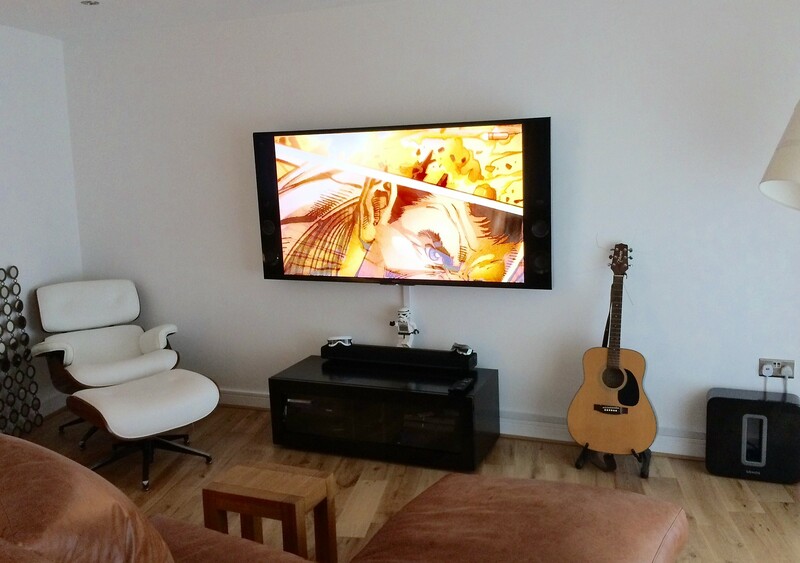 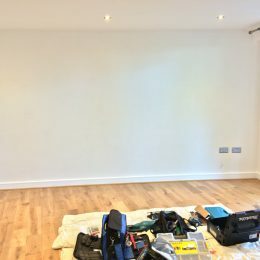 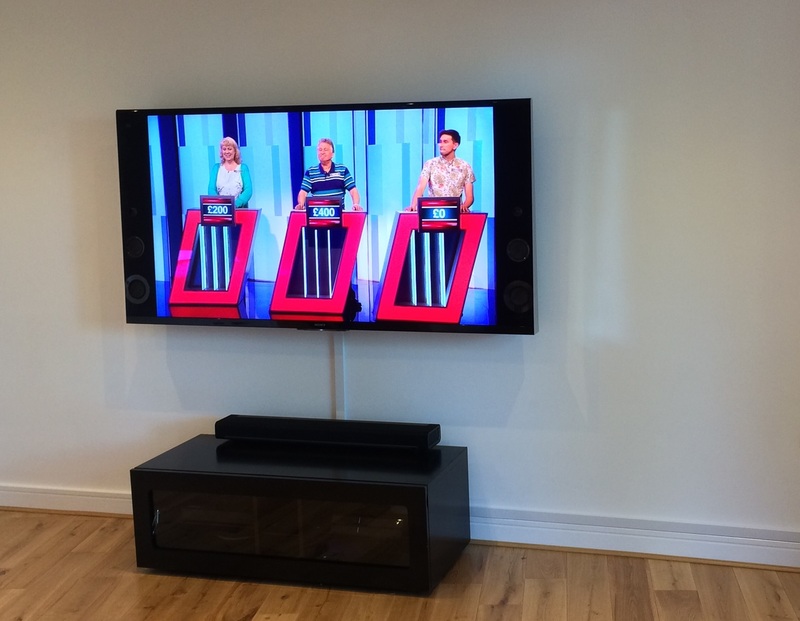 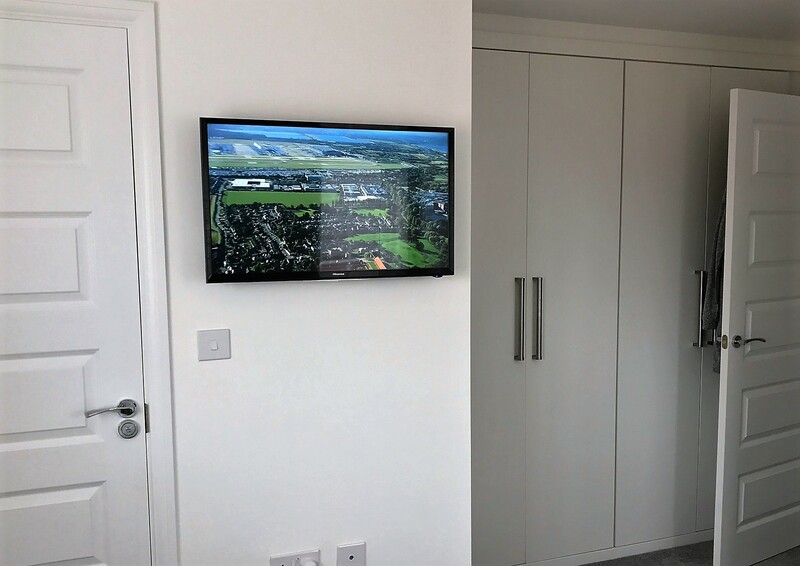 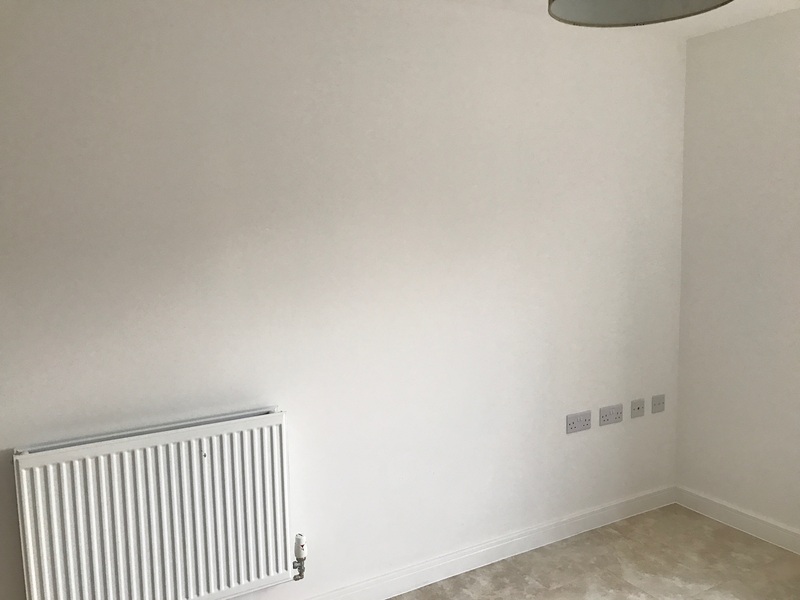 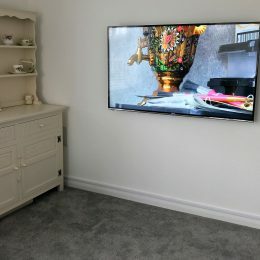 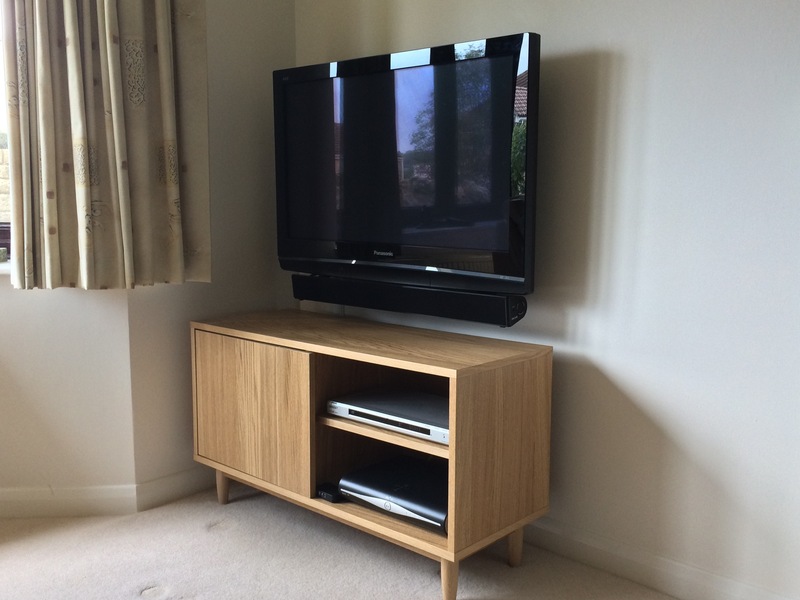 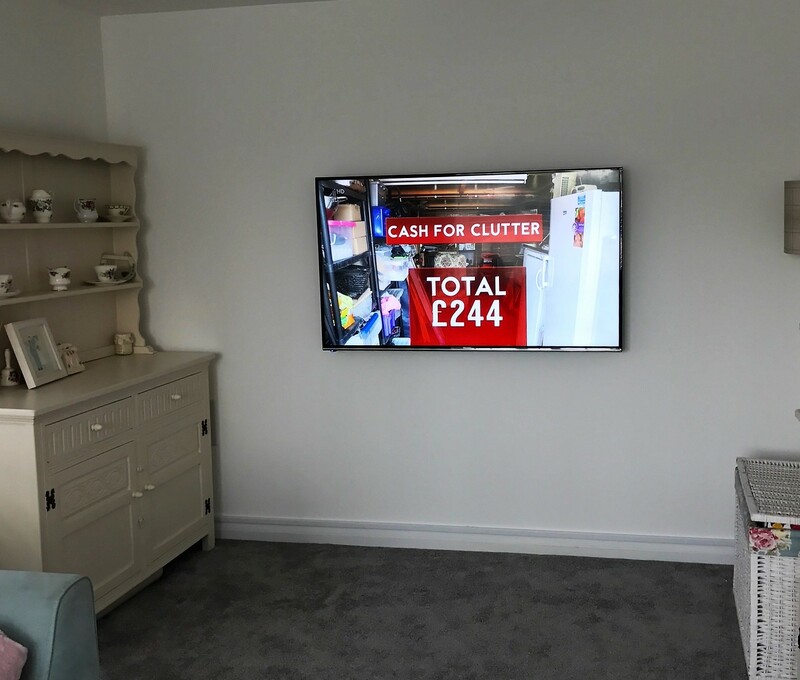 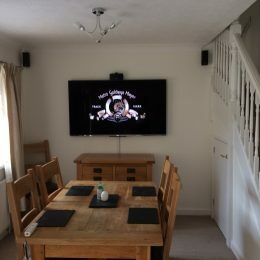 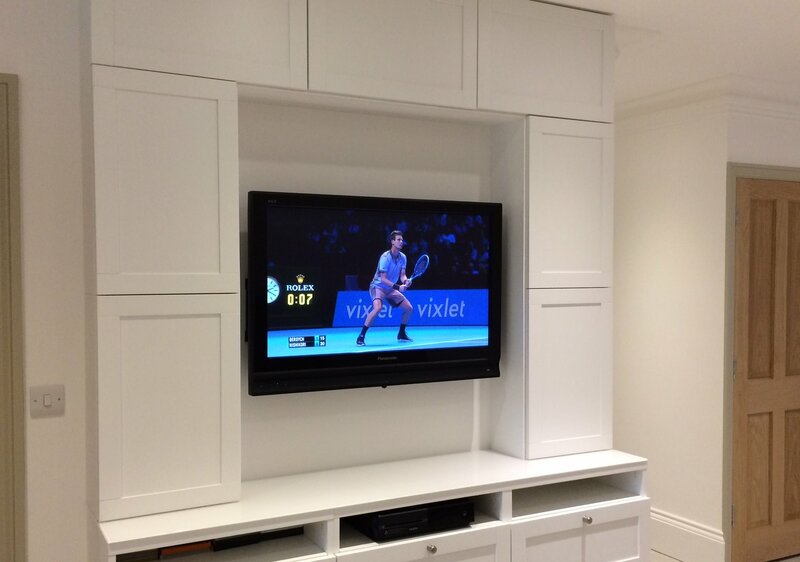 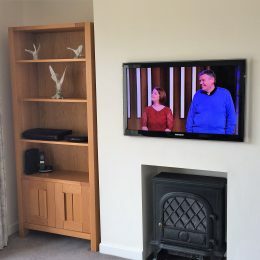 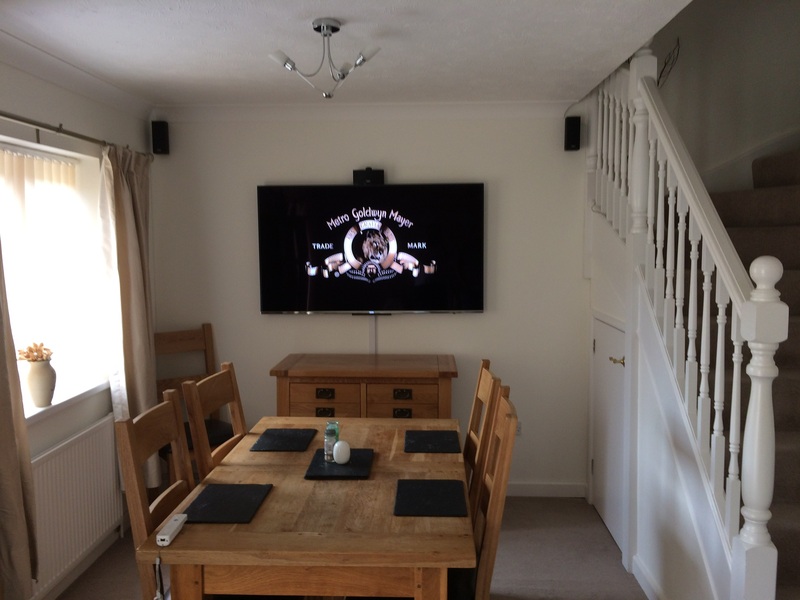 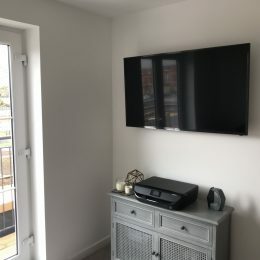 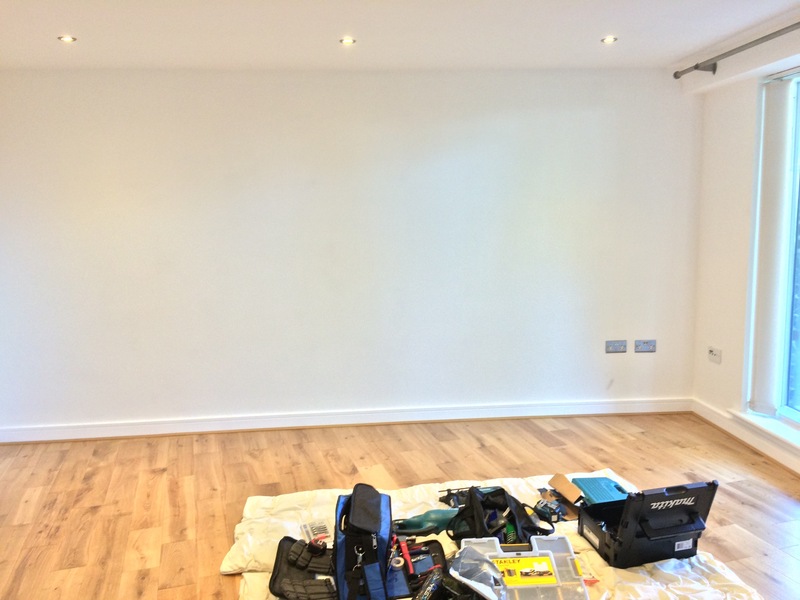 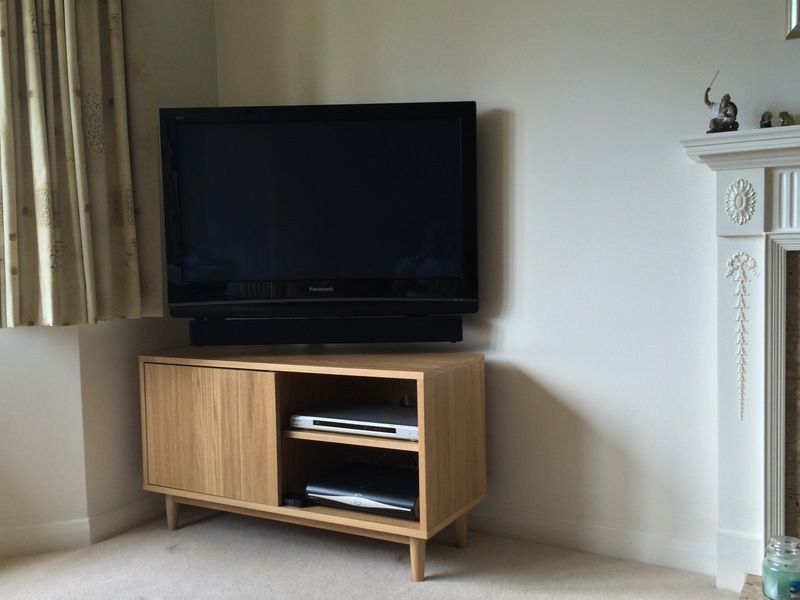 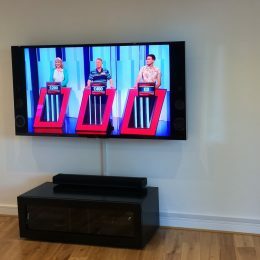 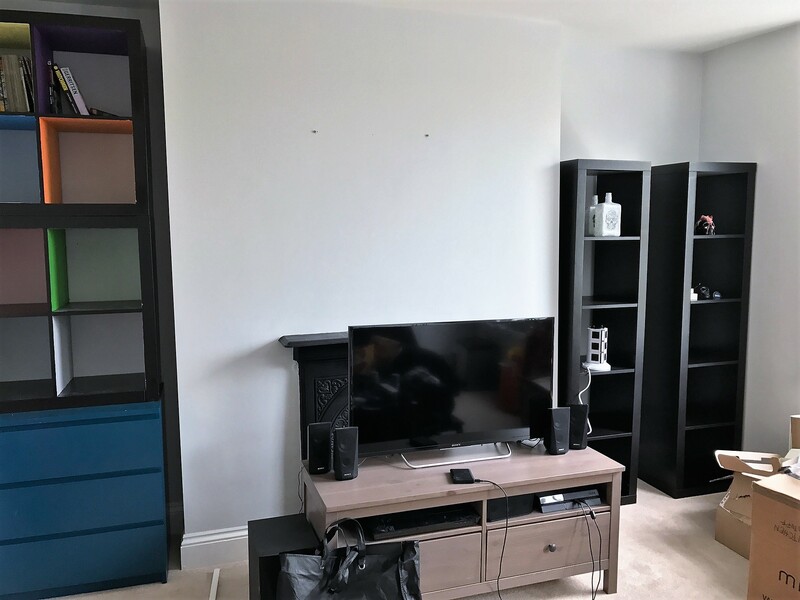 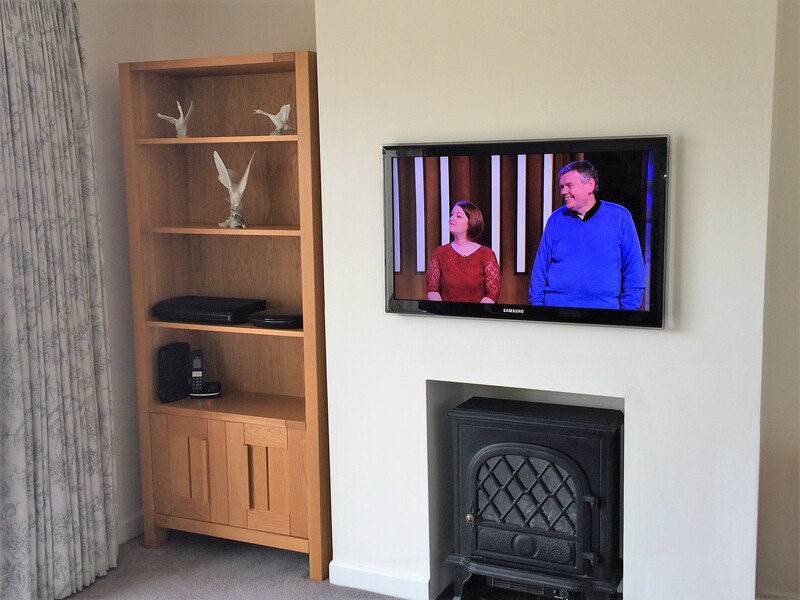 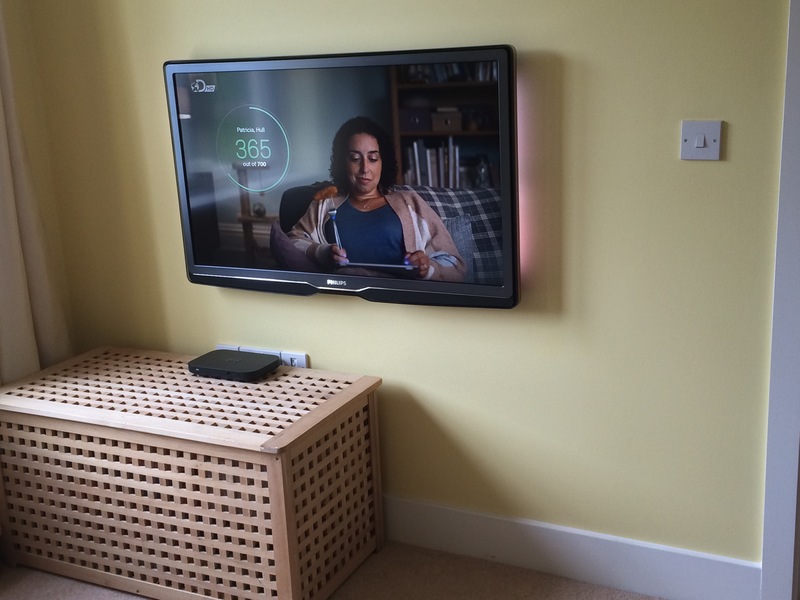 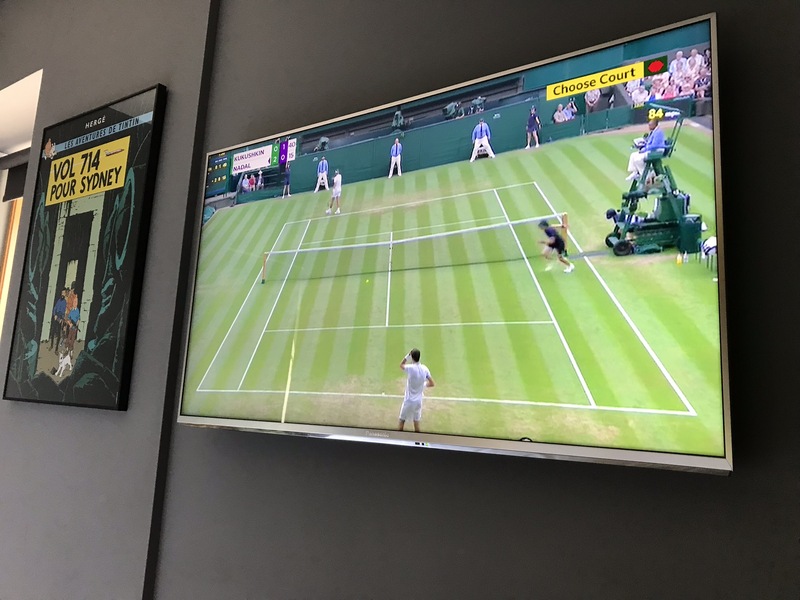 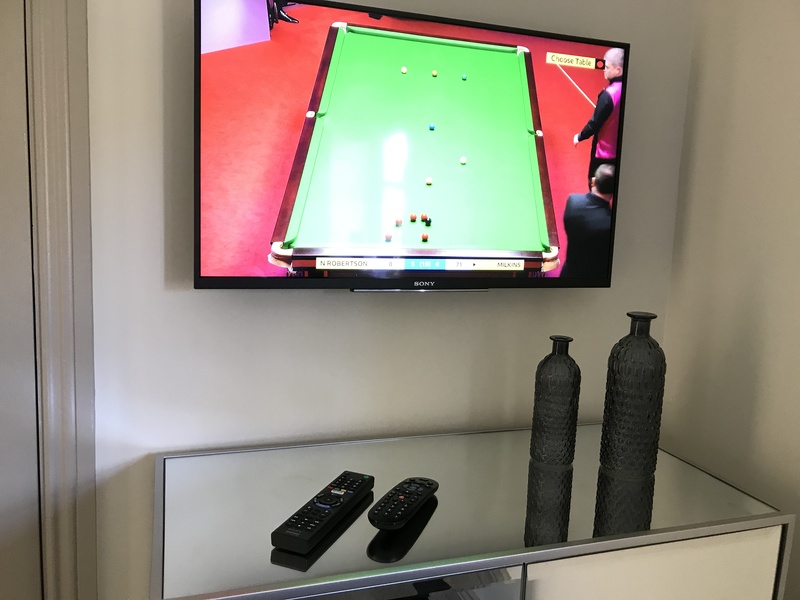 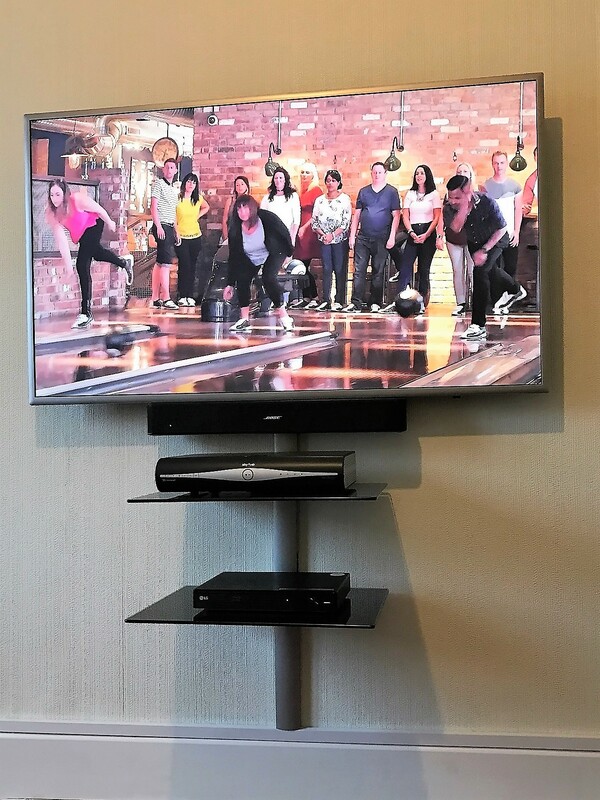 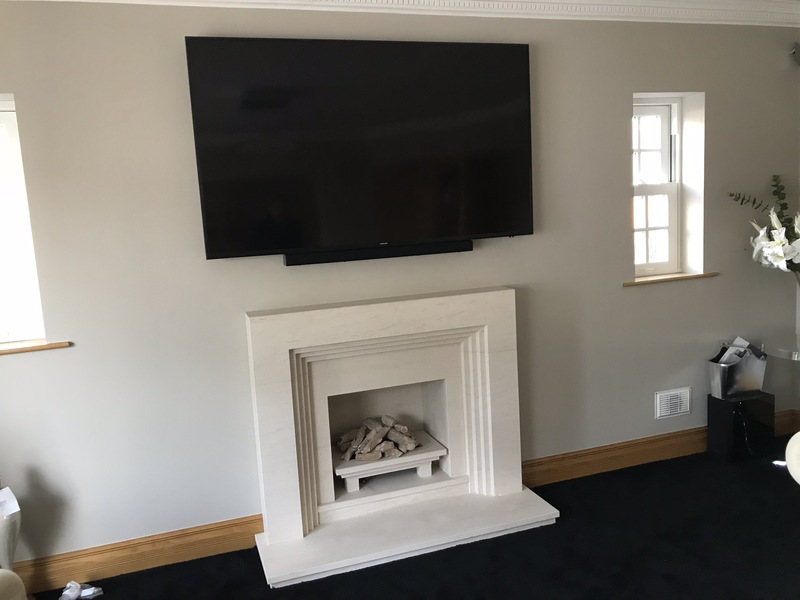 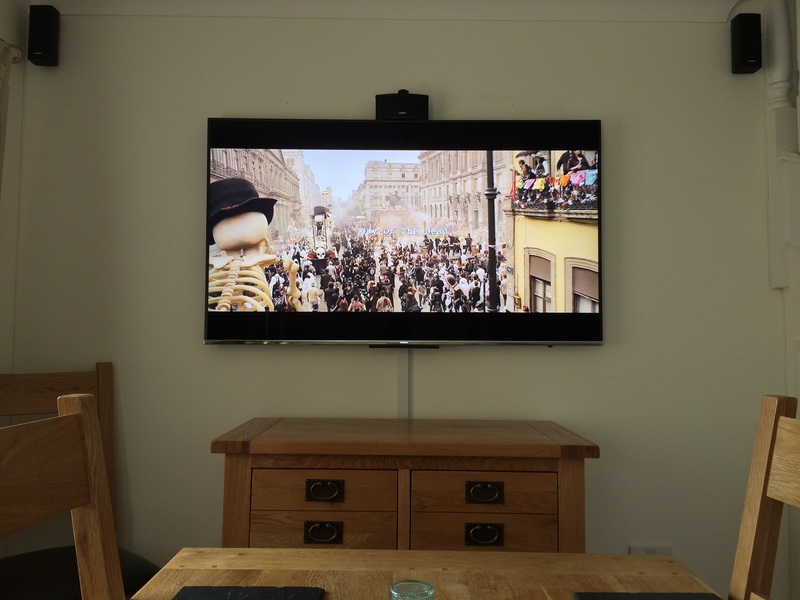 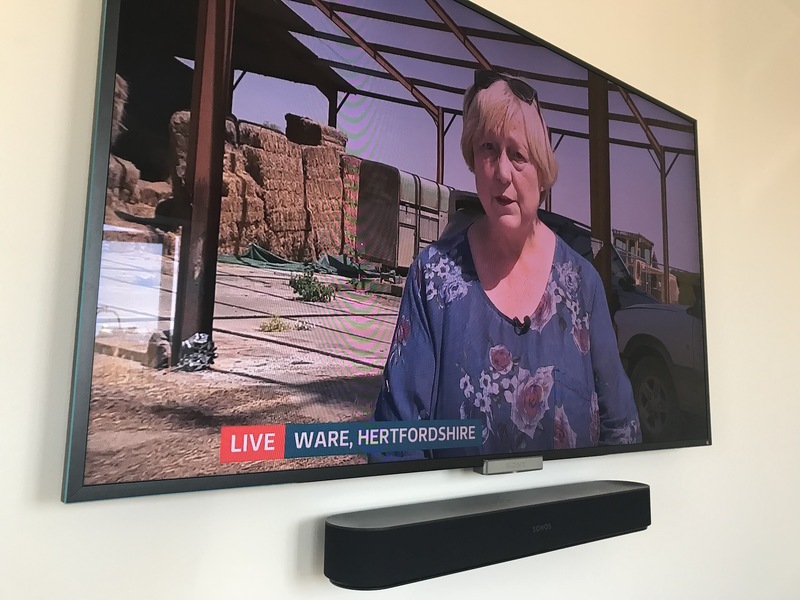 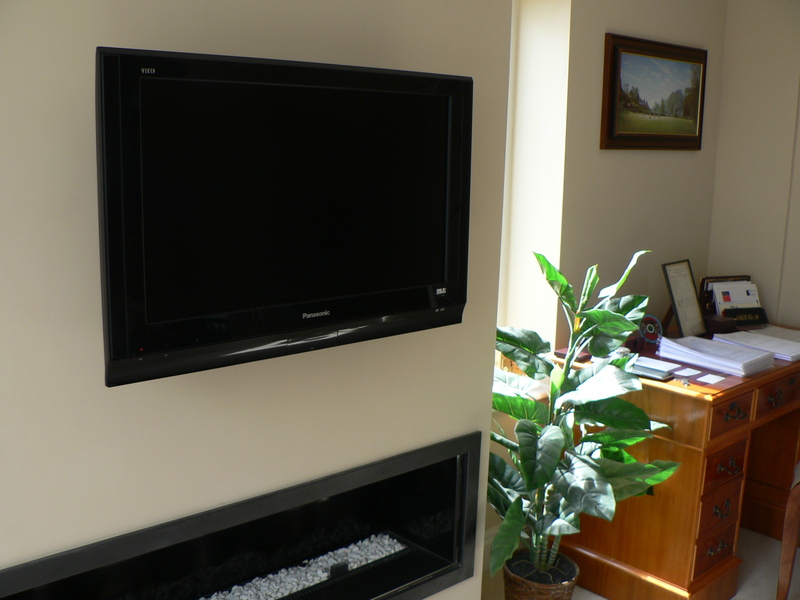 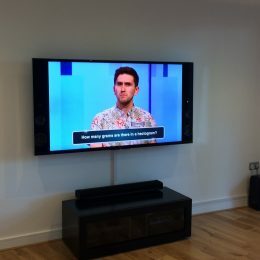 55″ Hisense Installed into this new build property with no visible cabling. 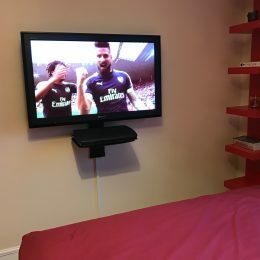 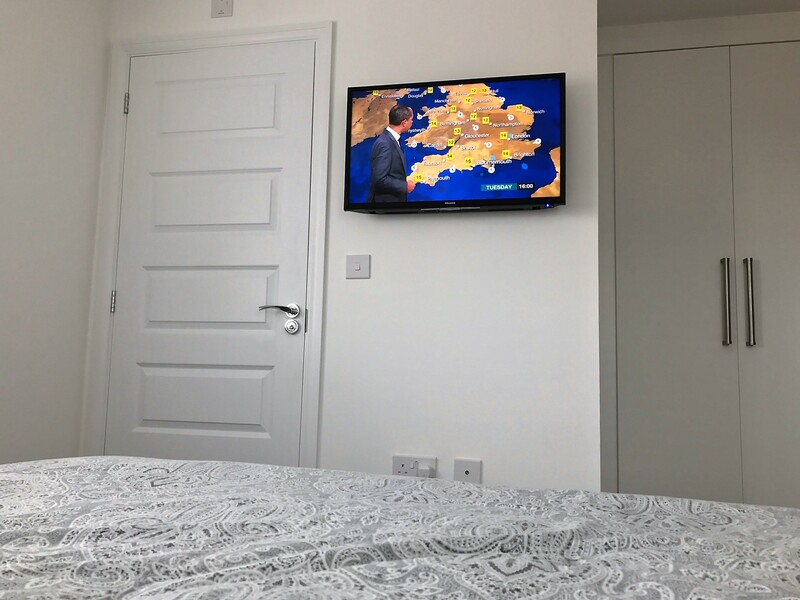 Bedroom TV mounting in Bristol onto plasterboard wall. 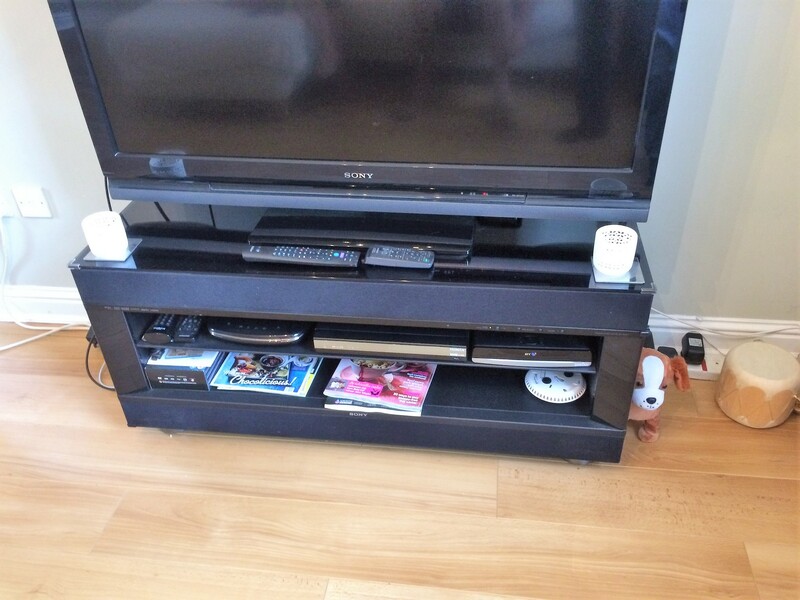 Preparing to move this TV, Virgin and Blu-ray player to the other side of the Living room. 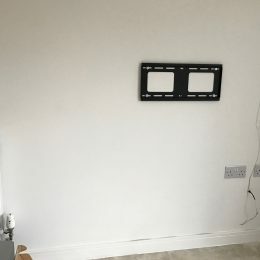 Tidying up existing Aerial and Virgin plates. 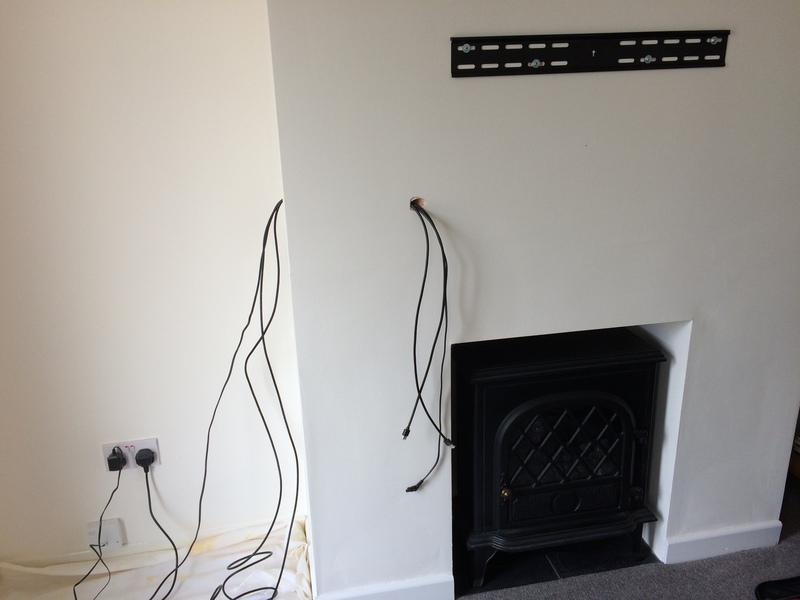 Tv aerial and Virgin media cables rerouted to the other side of the Living room. 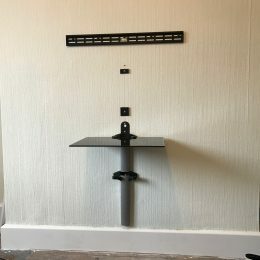 Bracket in place, now preparing to hide power and HDMI cables. 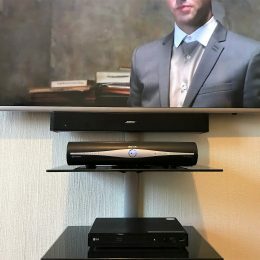 Virgin media, router and Blu-ray player connected and ready to go. 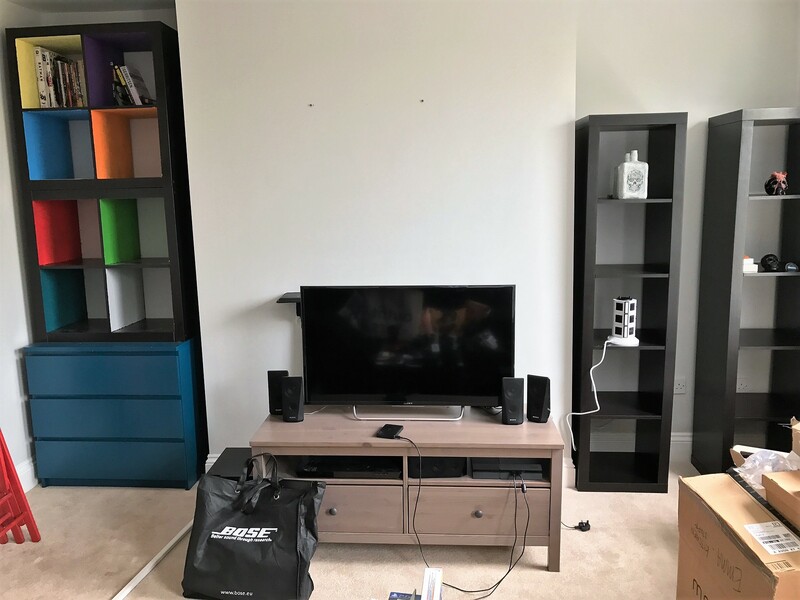 Preparation before moving in day. 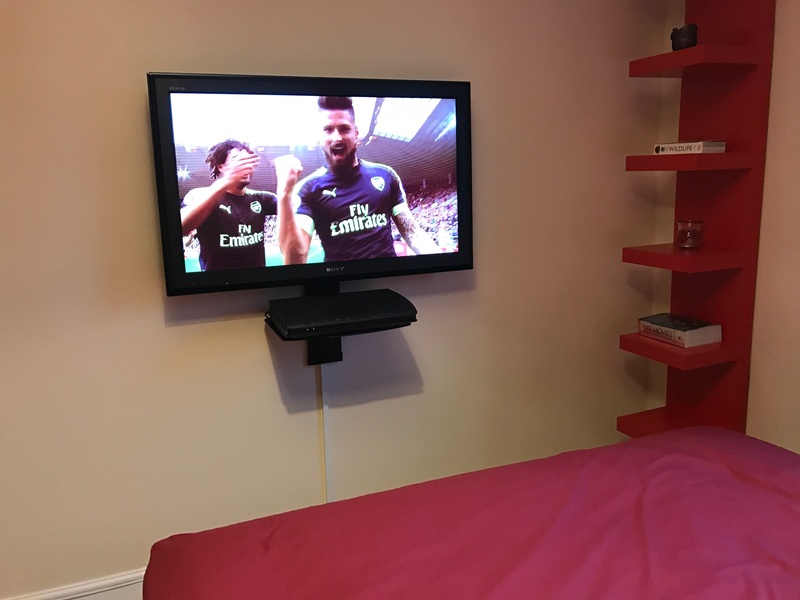 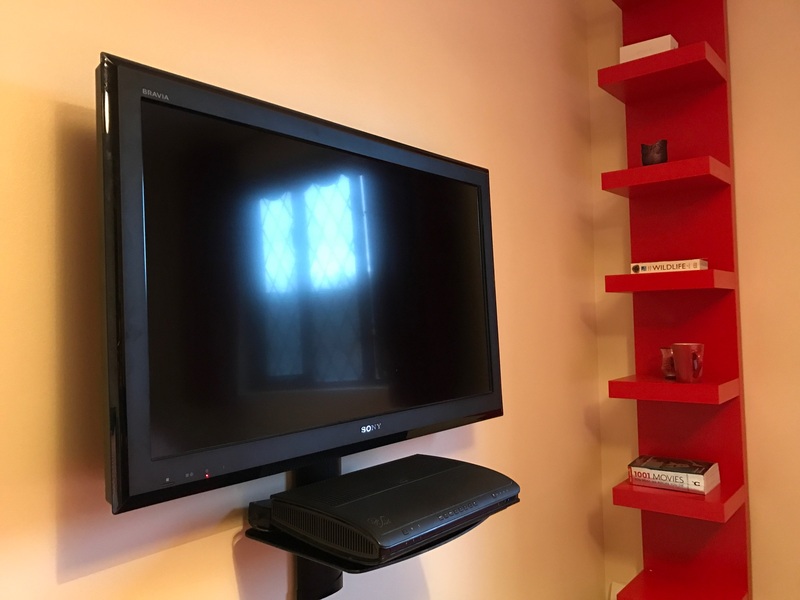 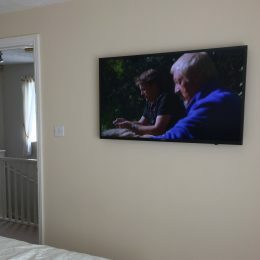 Mounting this 40″ Sony screen temporarily in this bedroom with Virgin media box on a floating shelf below. 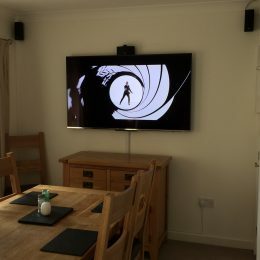 Introducing home entertainment into this living/dining room. 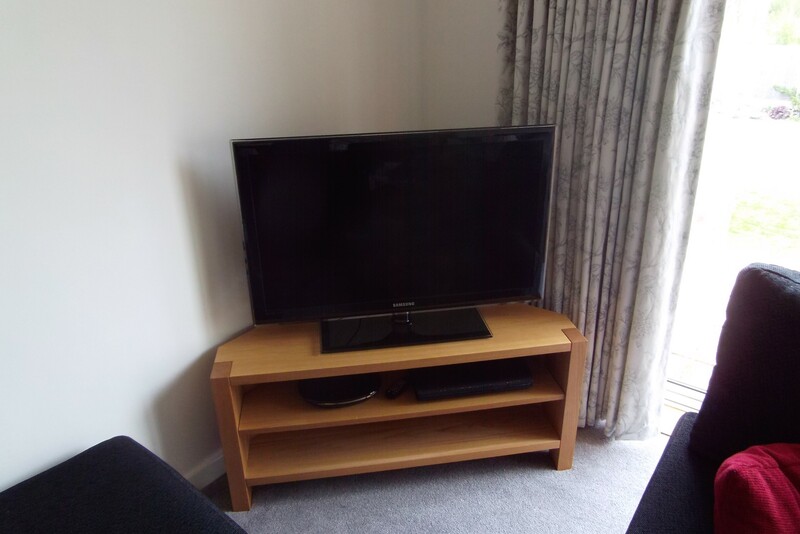 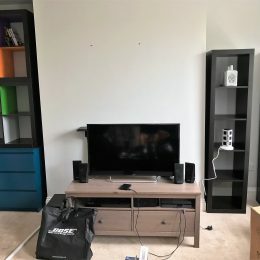 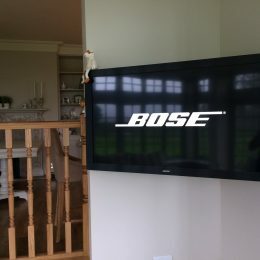 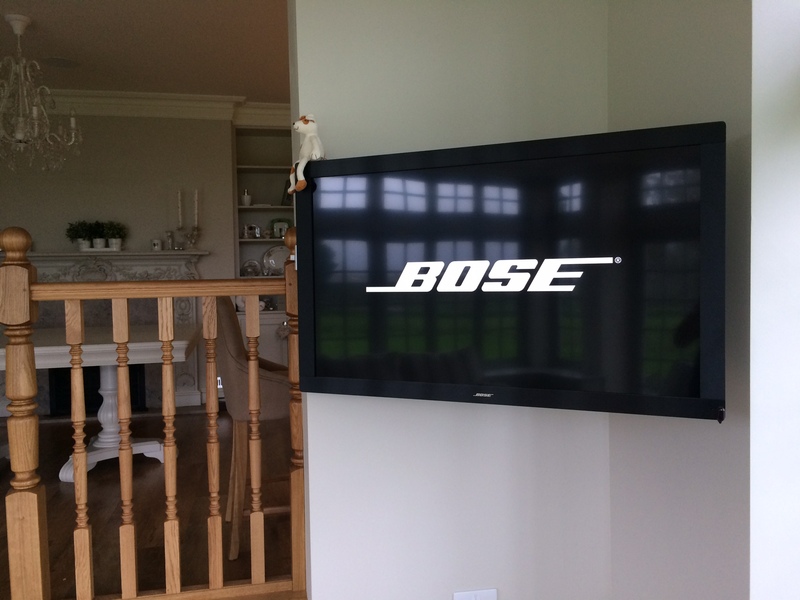 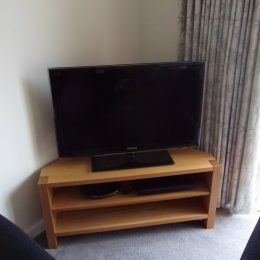 60″ Flat screen, Bose Soundtouch 520 system. 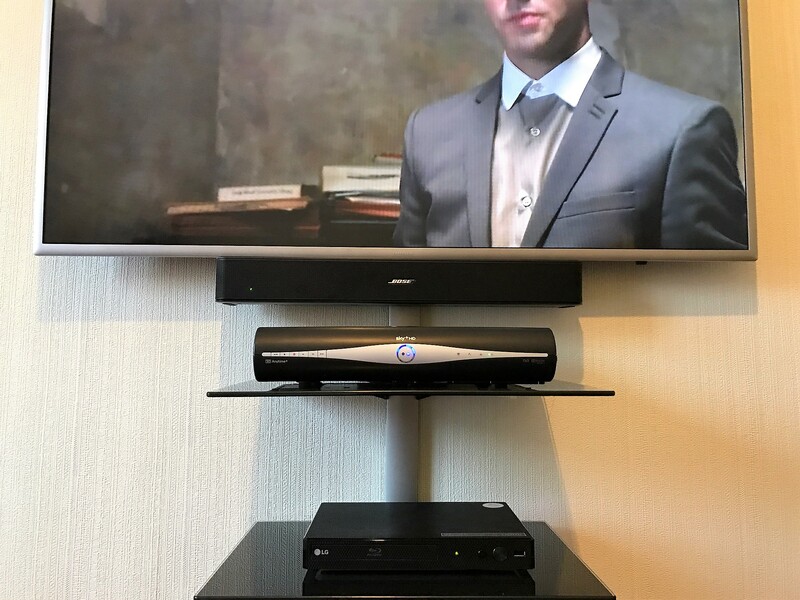 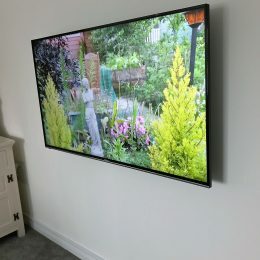 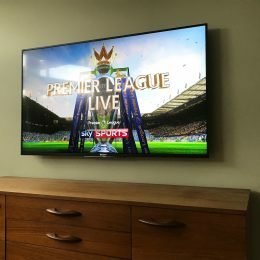 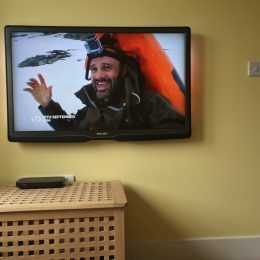 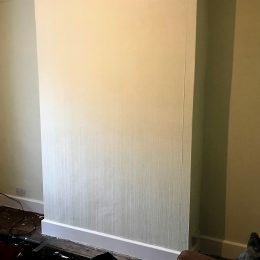 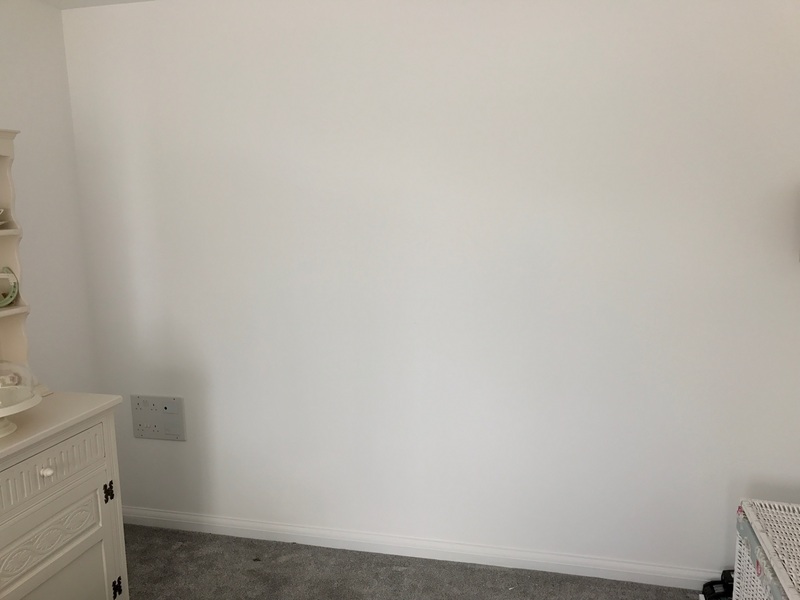 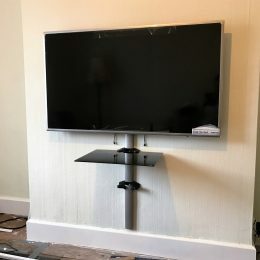 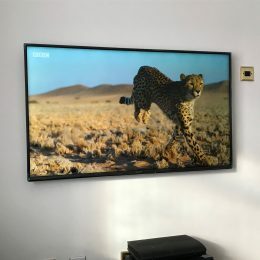 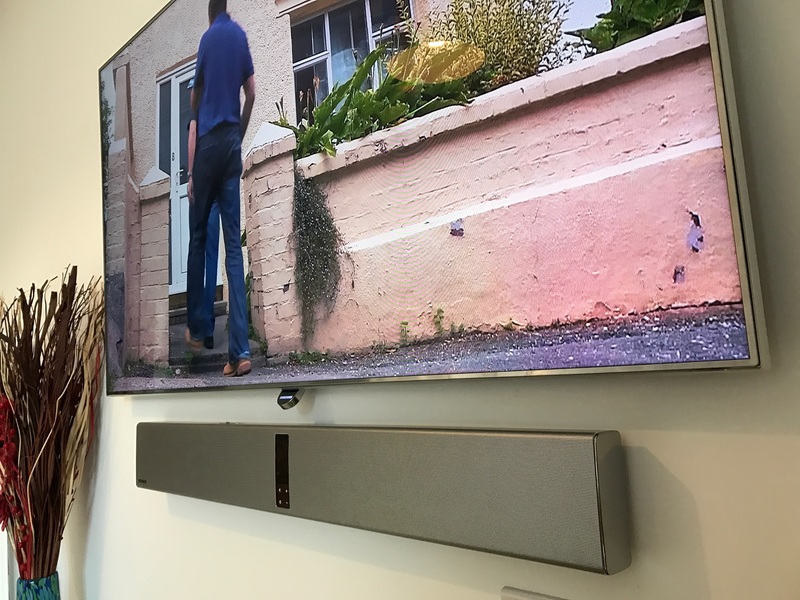 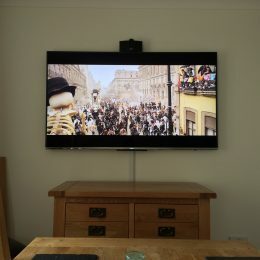 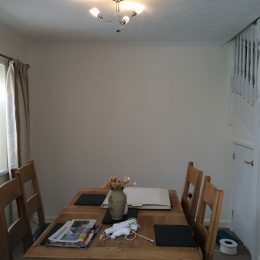 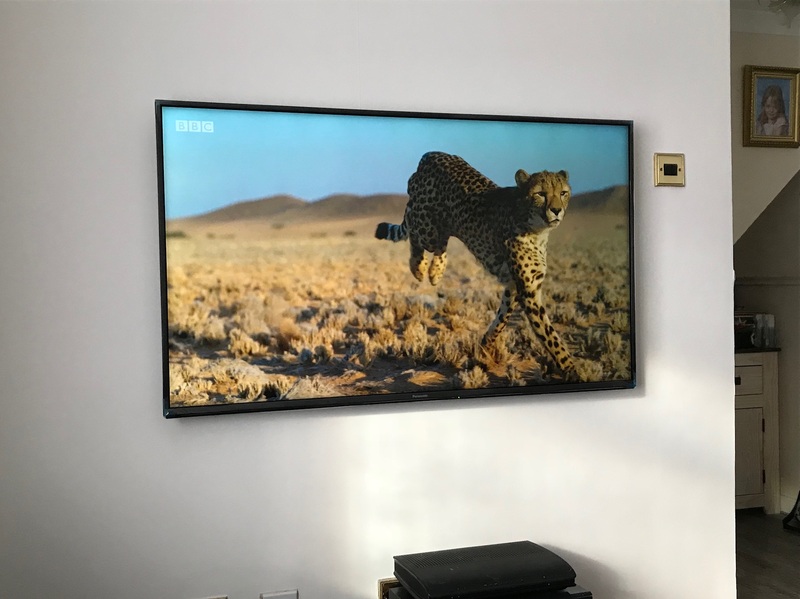 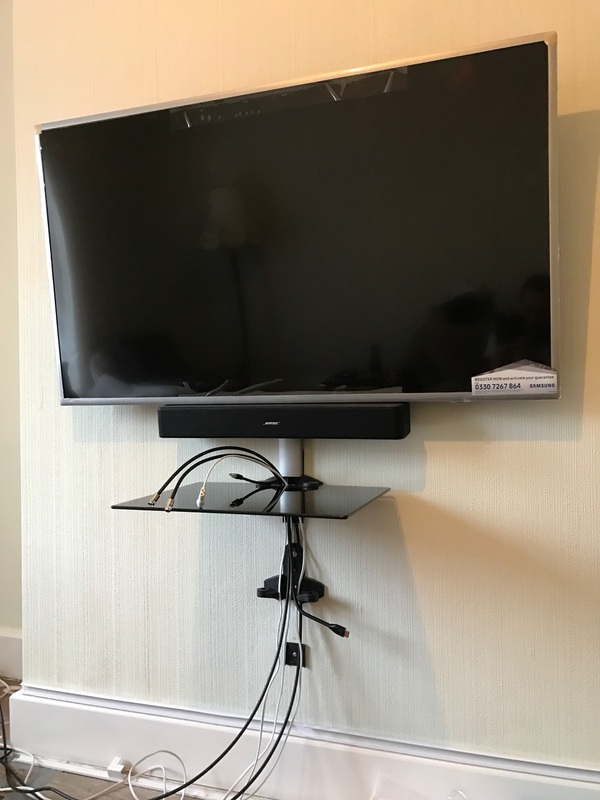 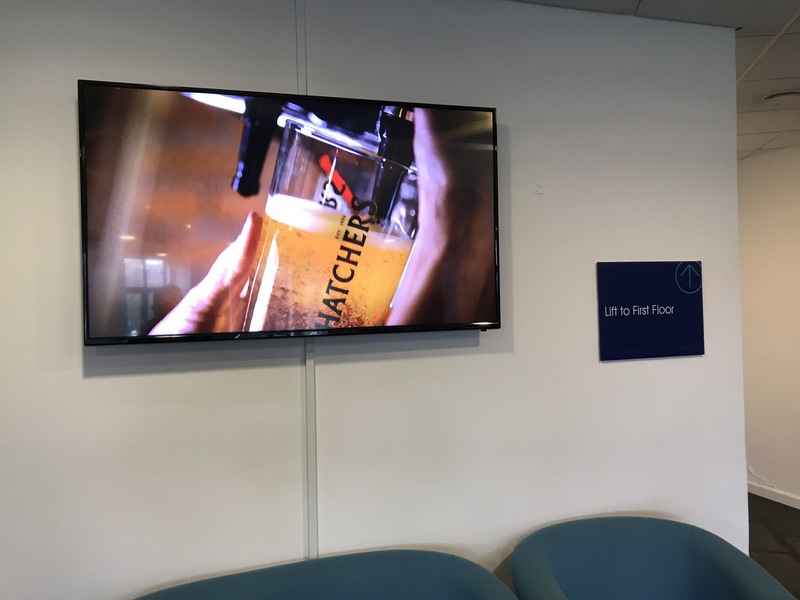 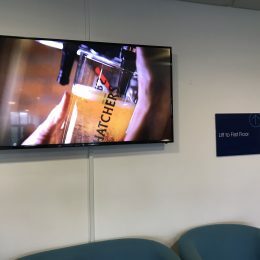 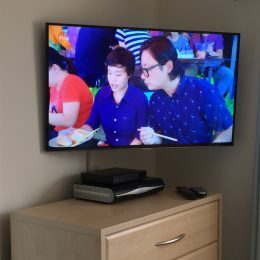 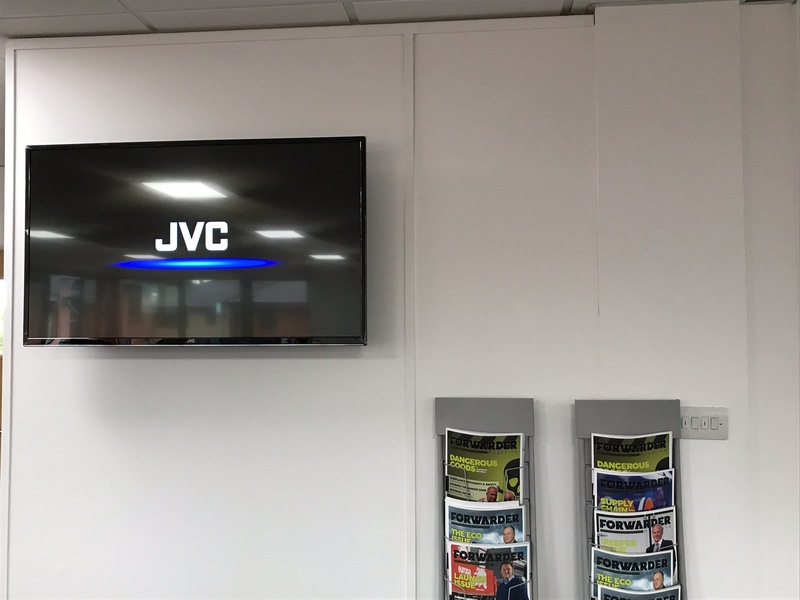 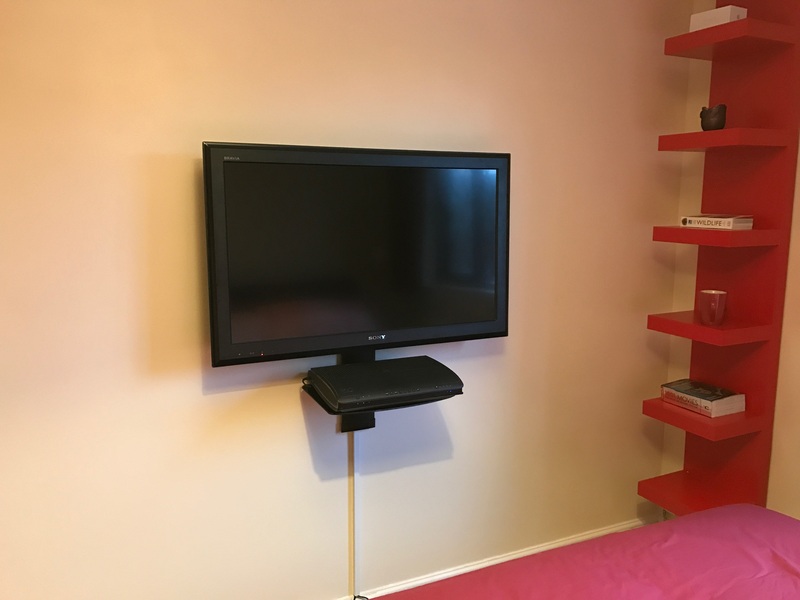 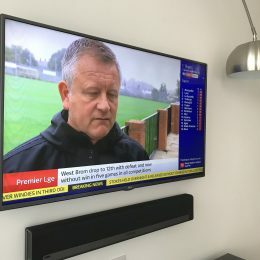 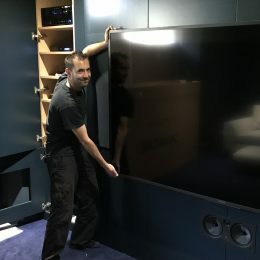 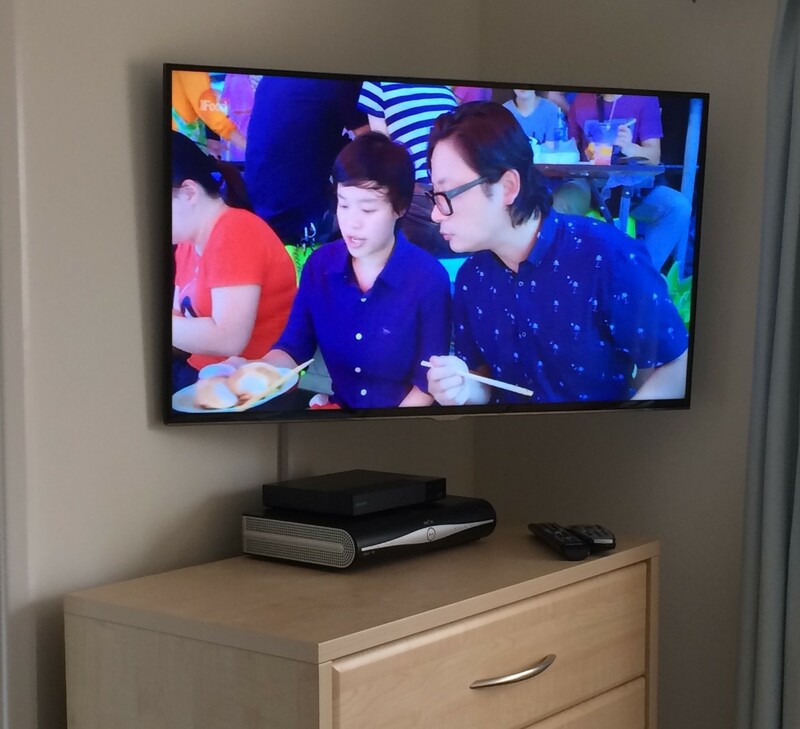 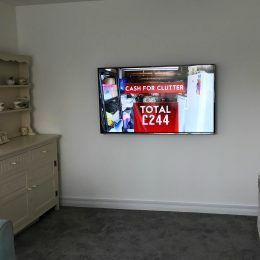 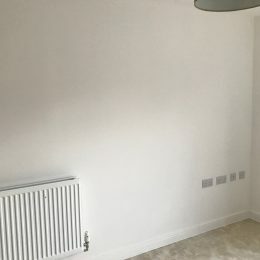 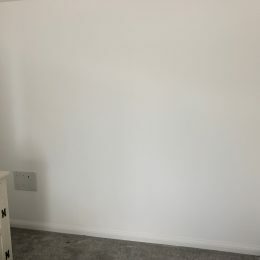 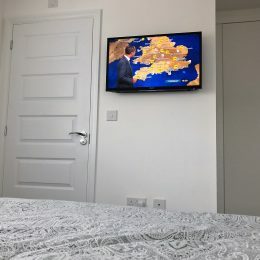 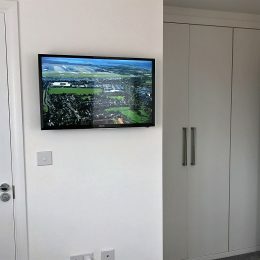 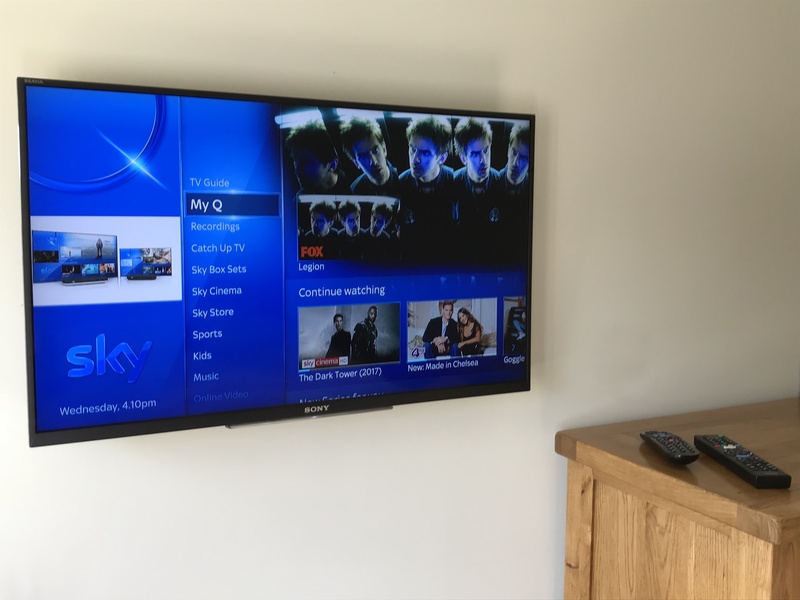 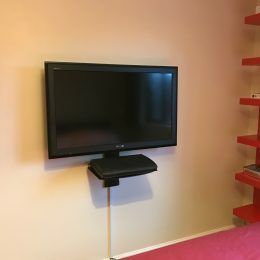 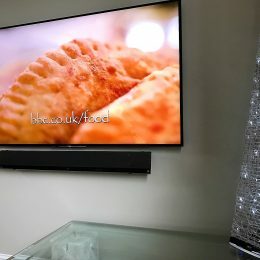 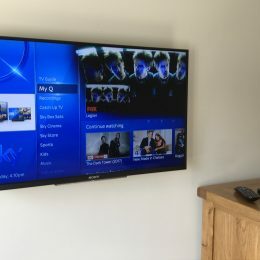 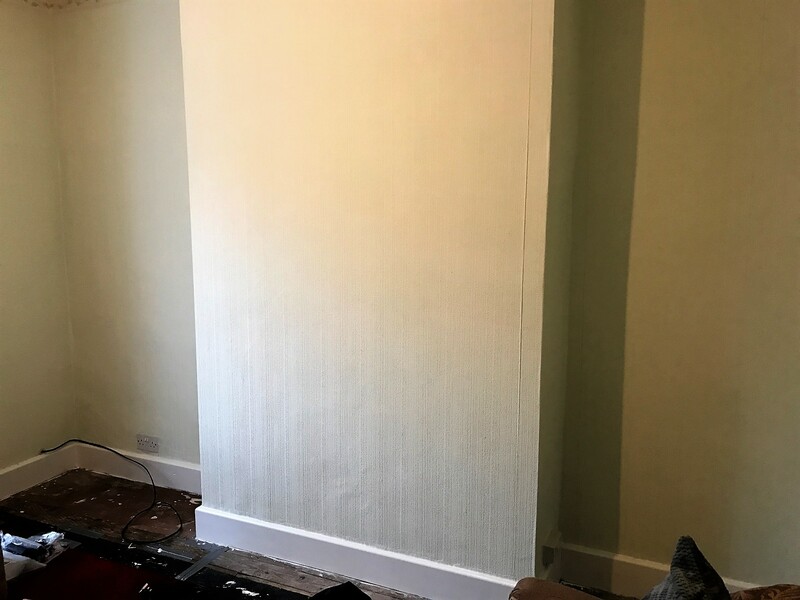 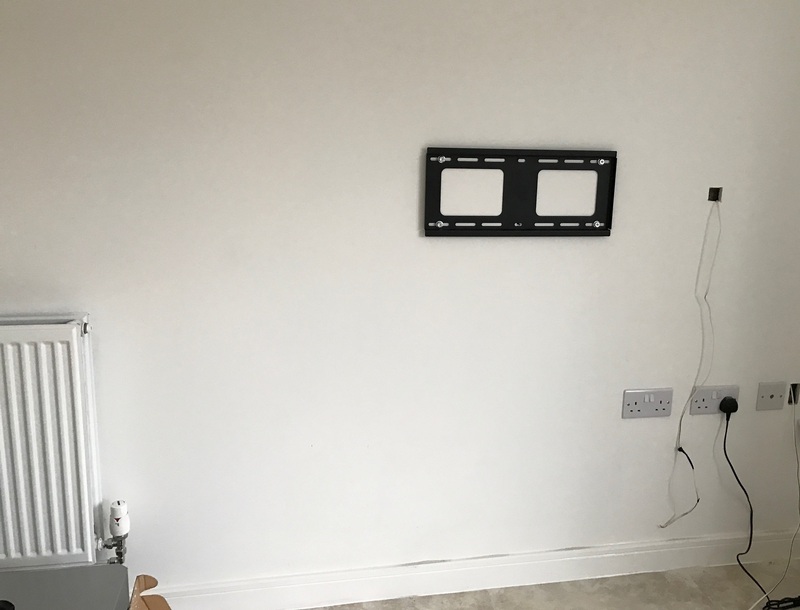 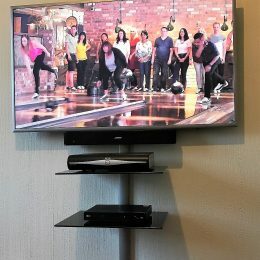 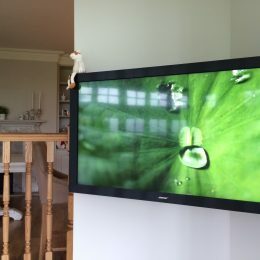 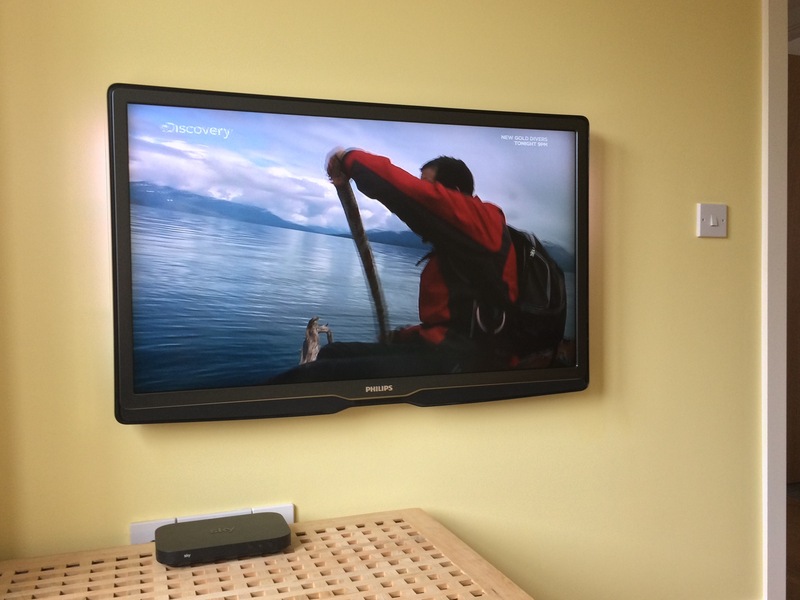 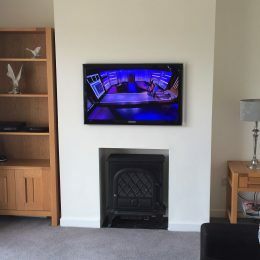 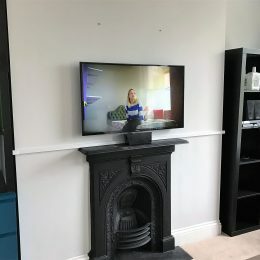 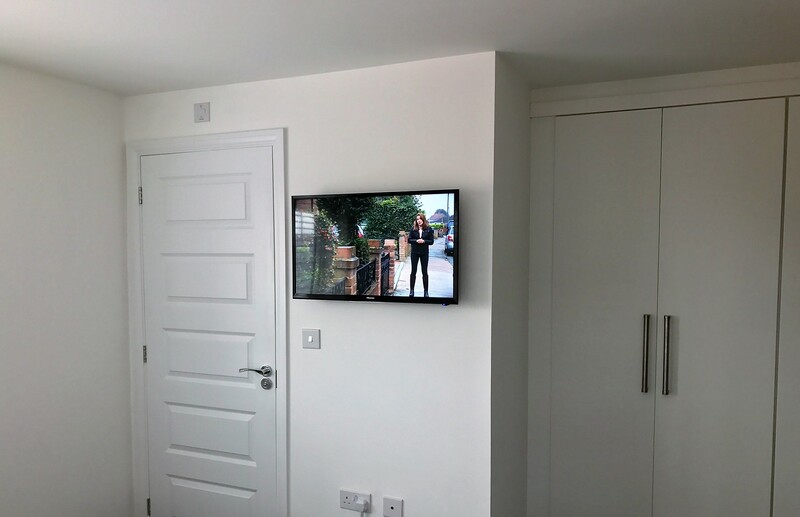 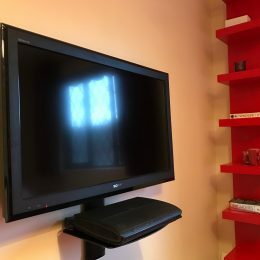 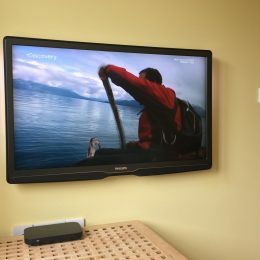 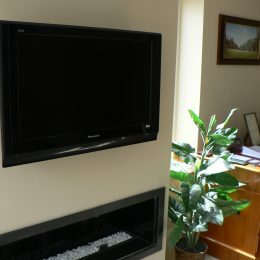 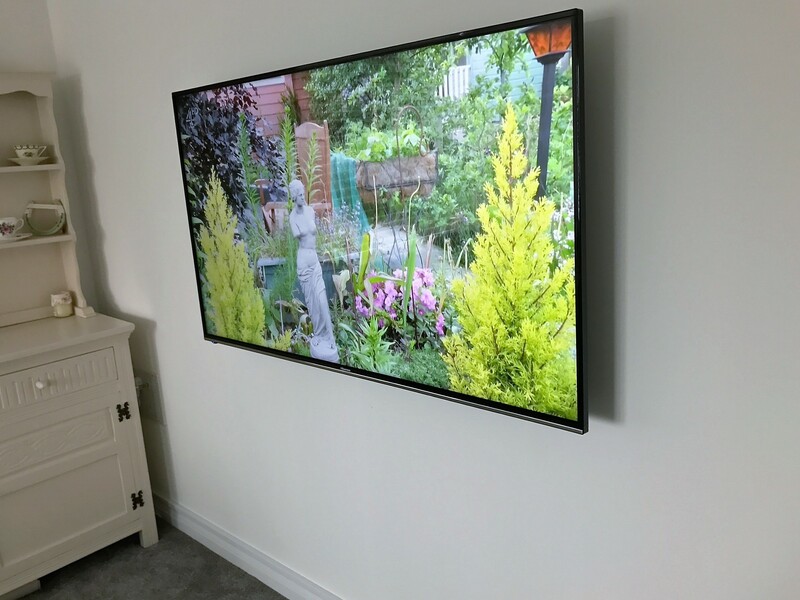 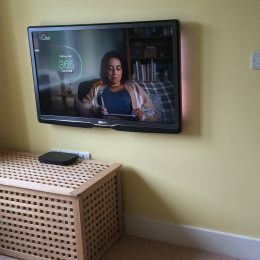 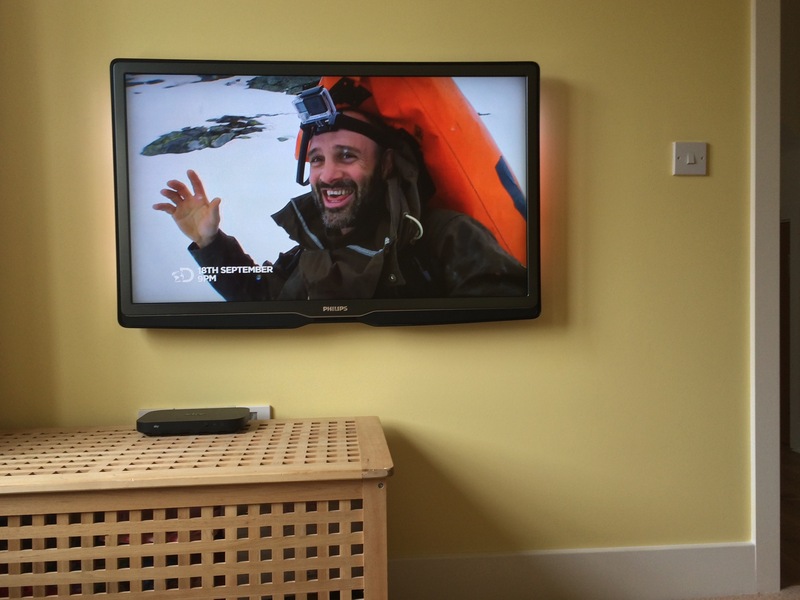 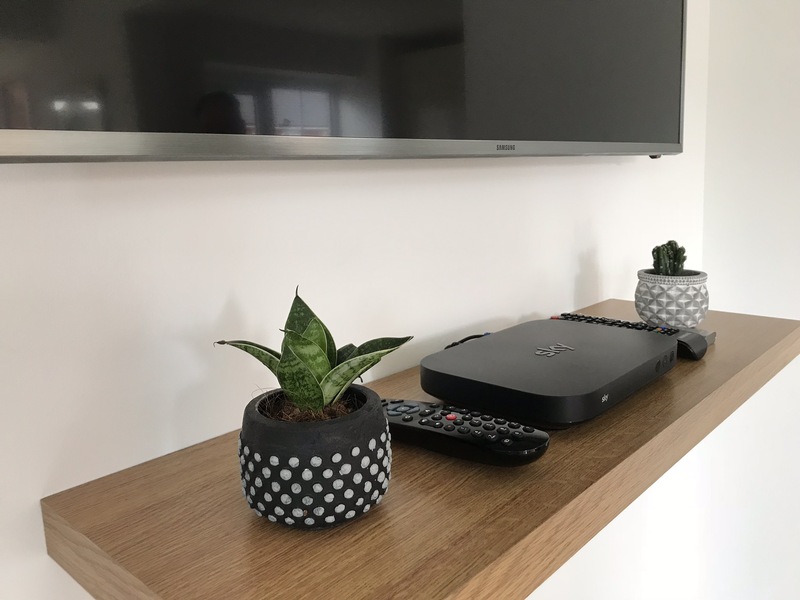 40″ Samsung mounted onto a plasterboard wall, Not a cable in sight..